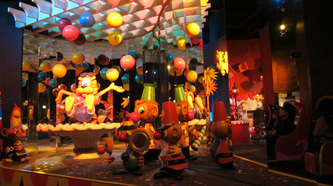 In the mood for a party? 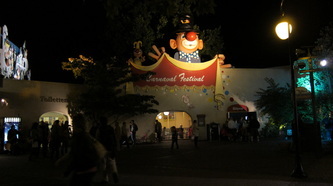 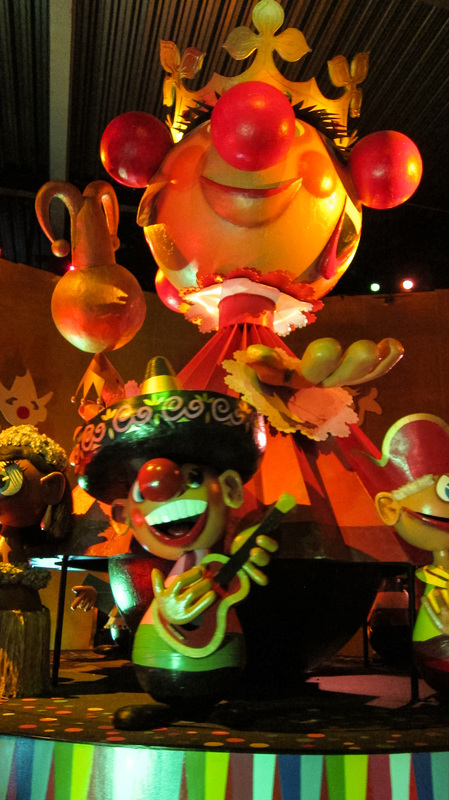 Well it’s party time at Carnaval Festival! 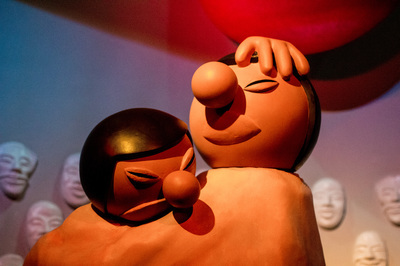 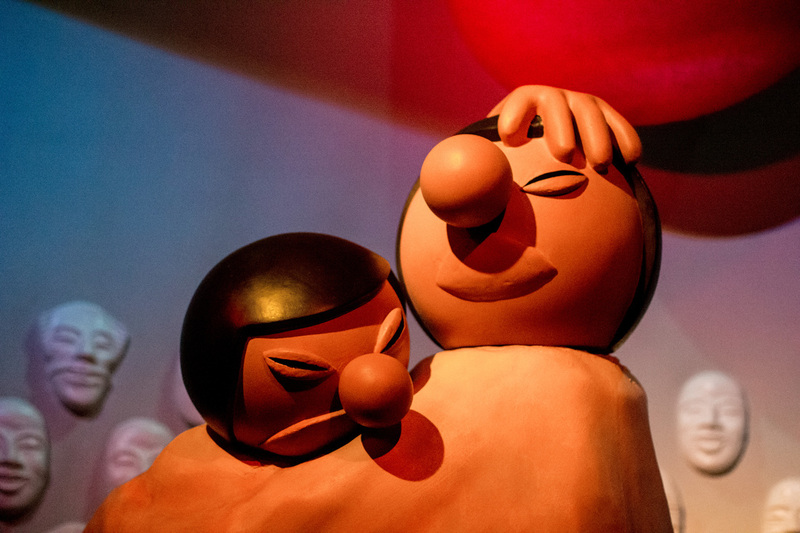 Figures from all over the world will take you on an exciting journey to explore their countries, their national dress and to find out how they make music. 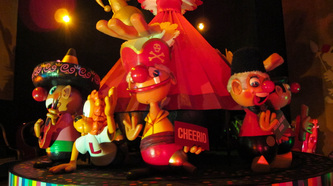 You’ll get a taste of China, France, England, Alaska, Mexico…you name it: the whole world is celebrating carnival-style! 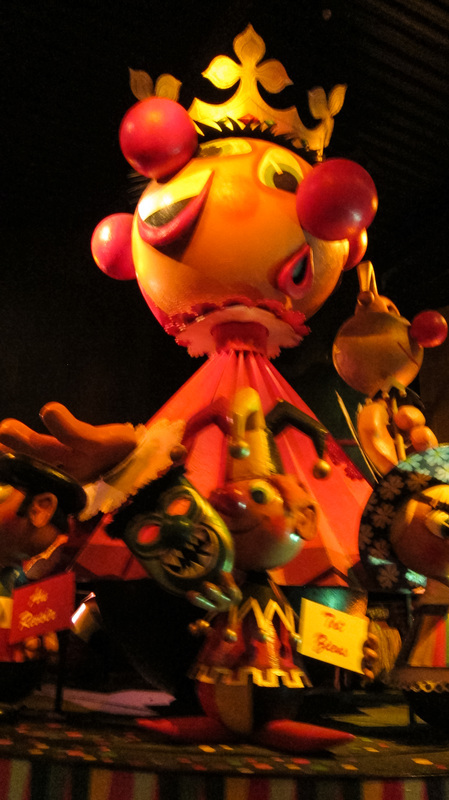 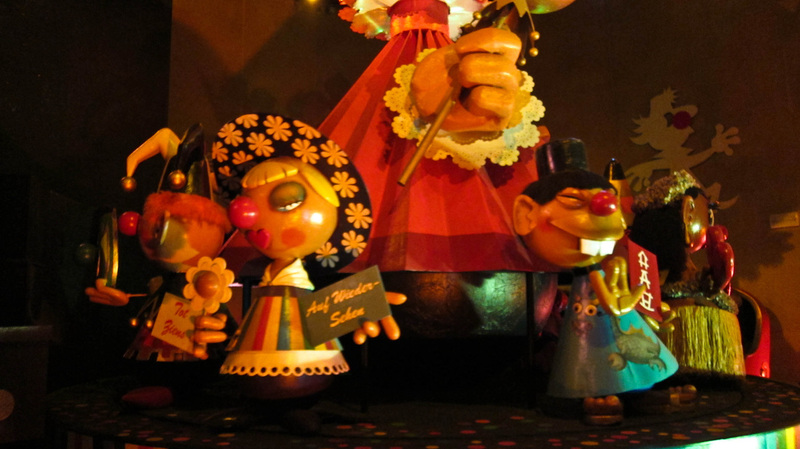 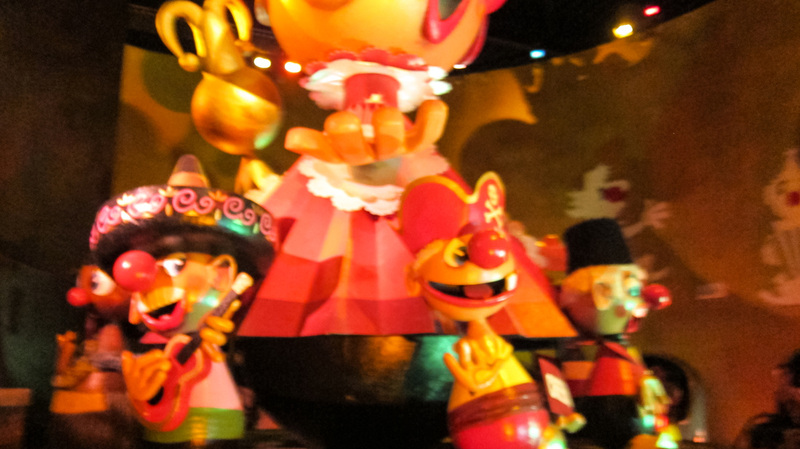 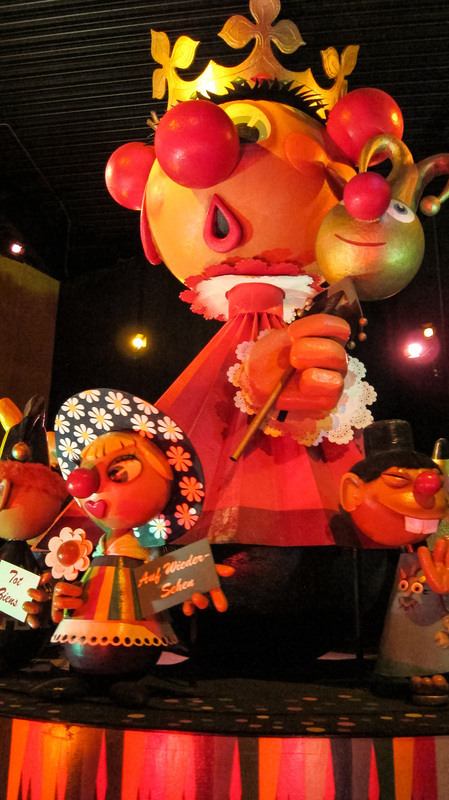 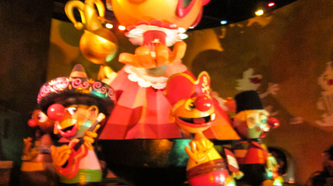 In Carnival Festival, you will be taken on a journey past 15 different countries and 270 different dolls at a speed of 1.8 km/h. The ride is 240 metres long and takes 8 minutes. 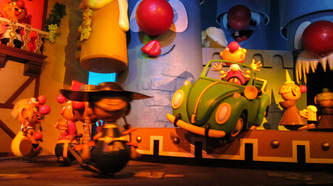 Occasionally the ride will be stopped for a few moments to allow a disabled person on. 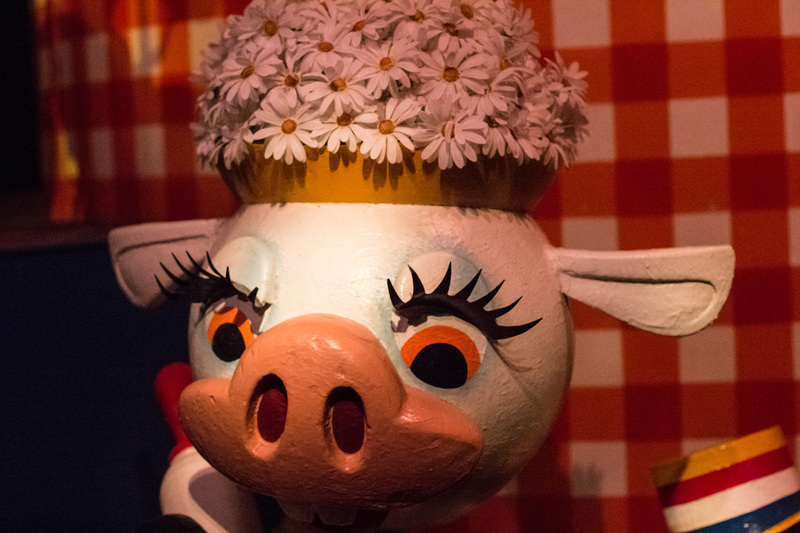 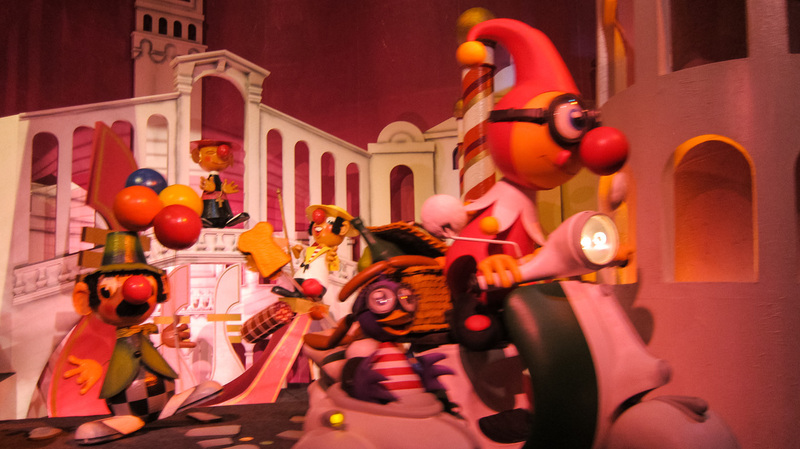 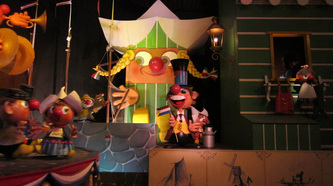 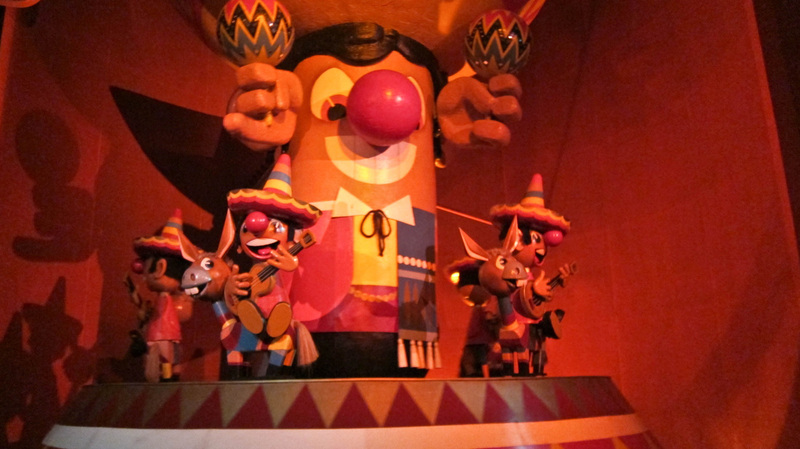 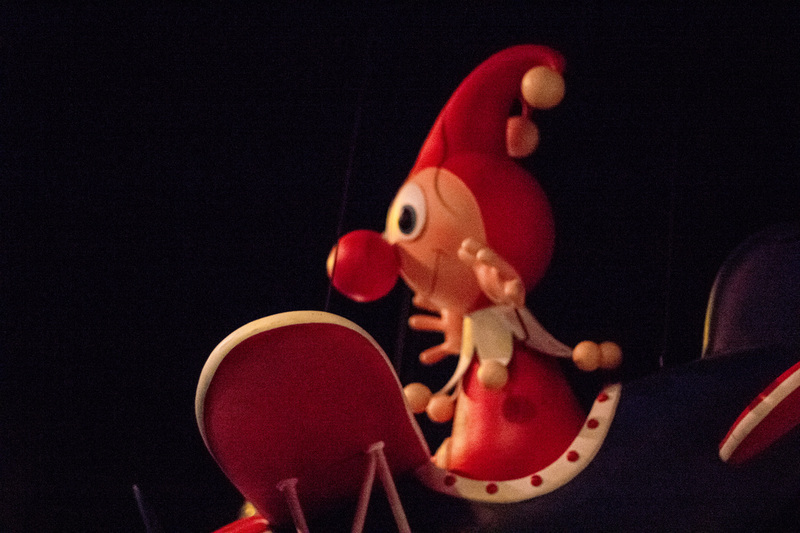 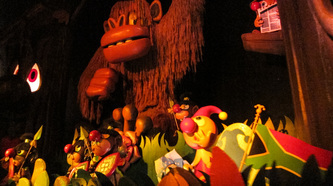 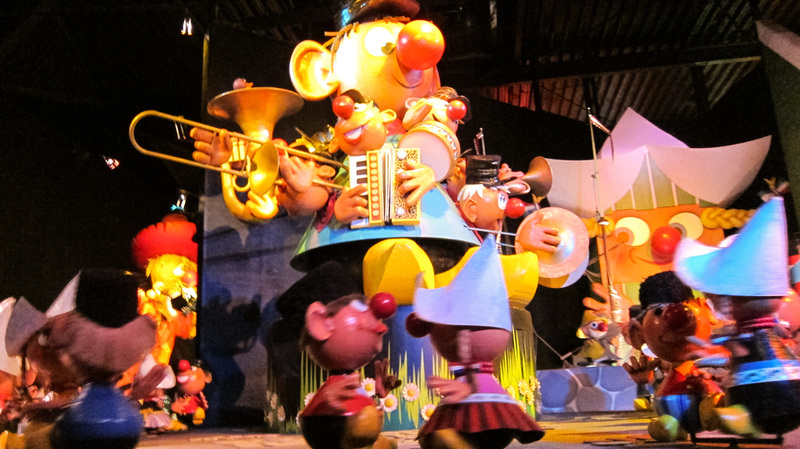 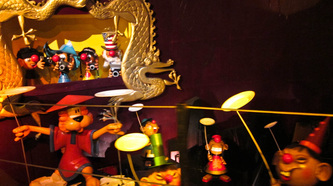 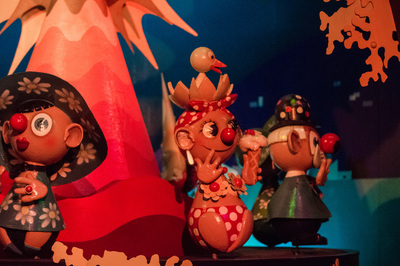 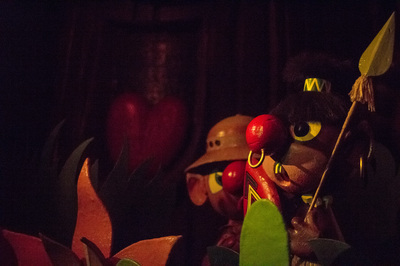 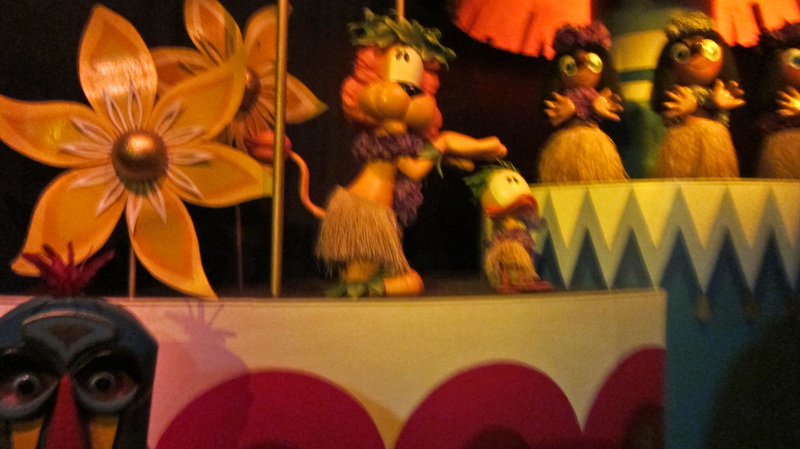 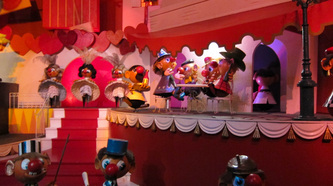 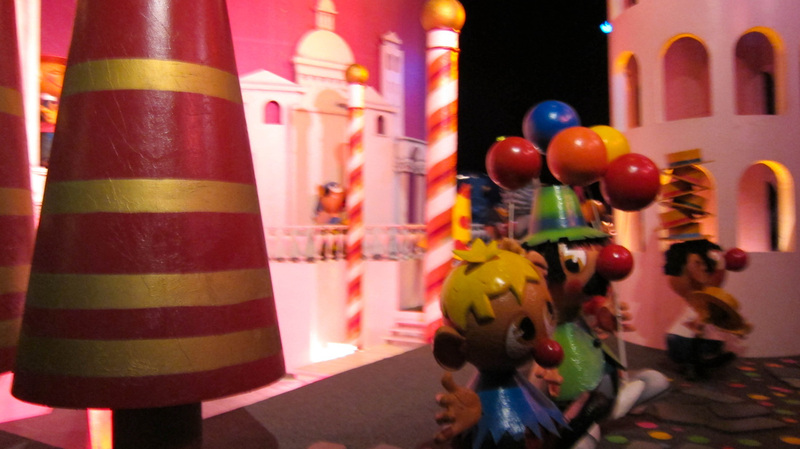 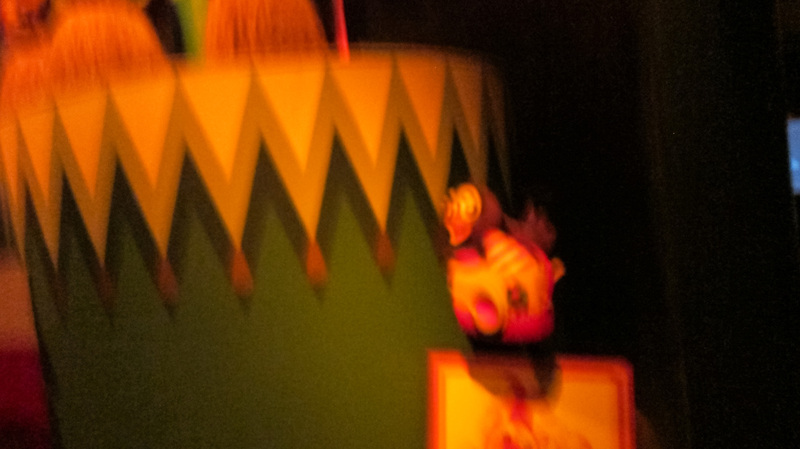 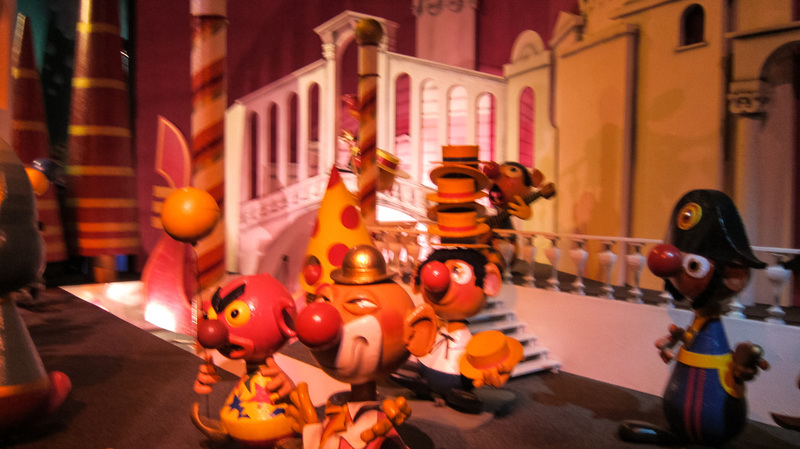 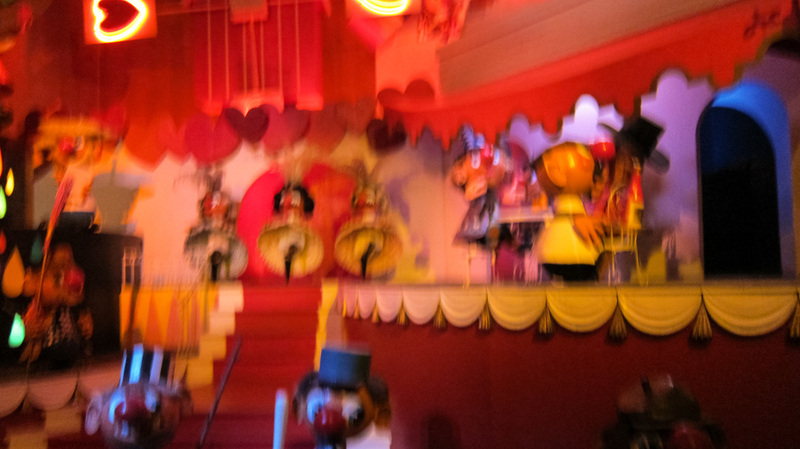 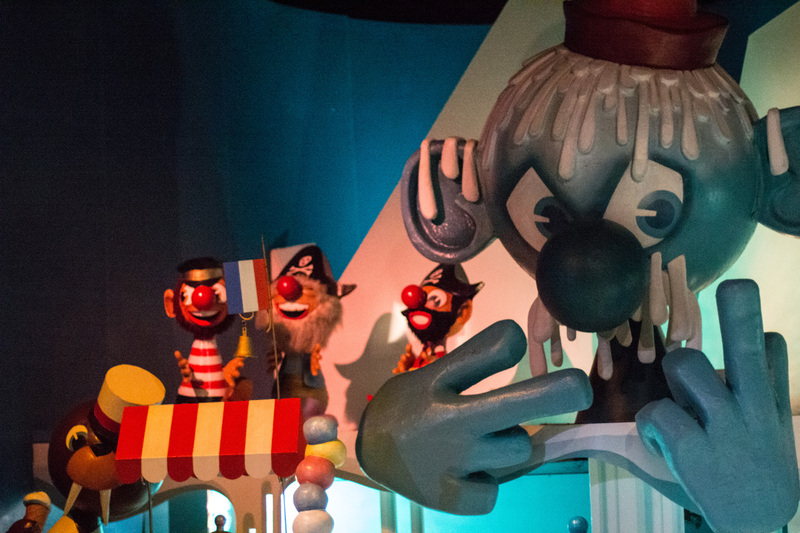 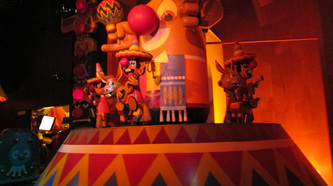 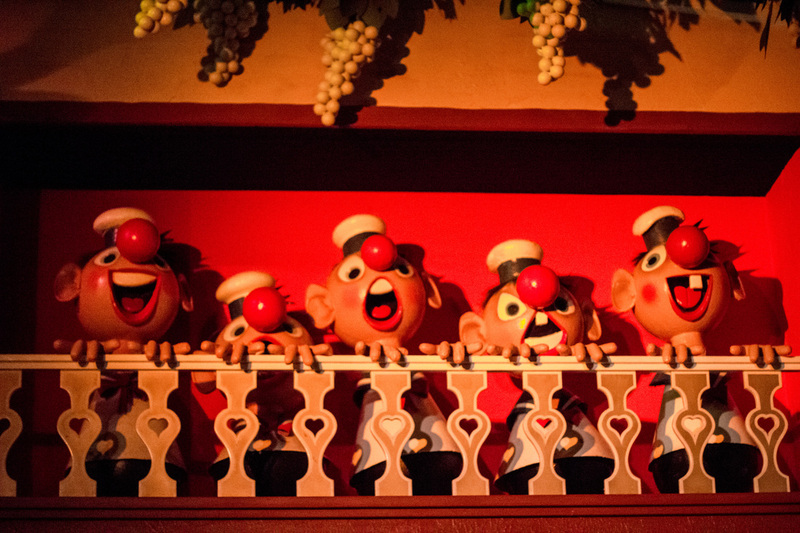 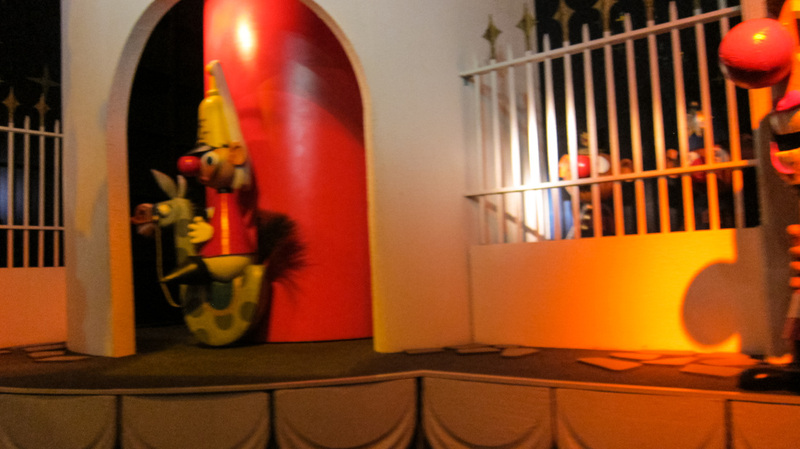 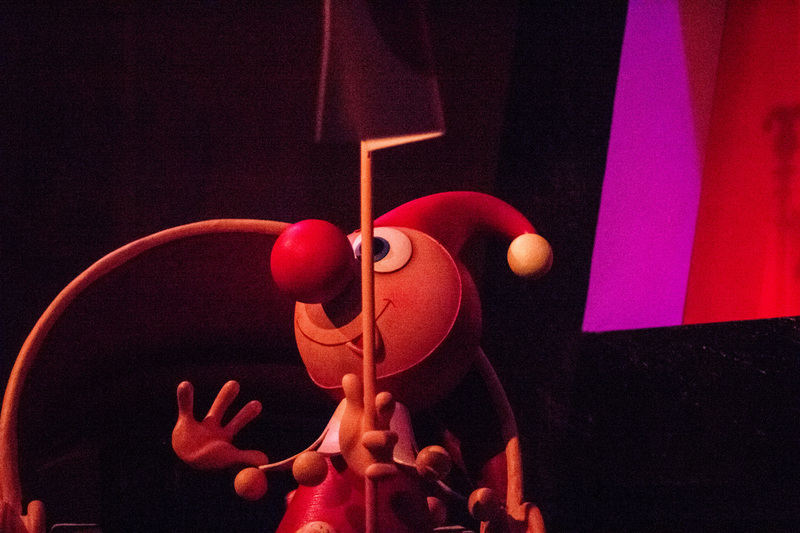 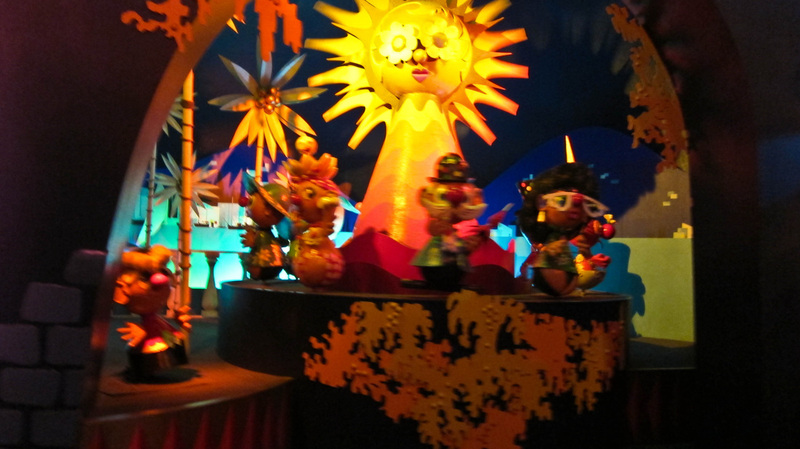 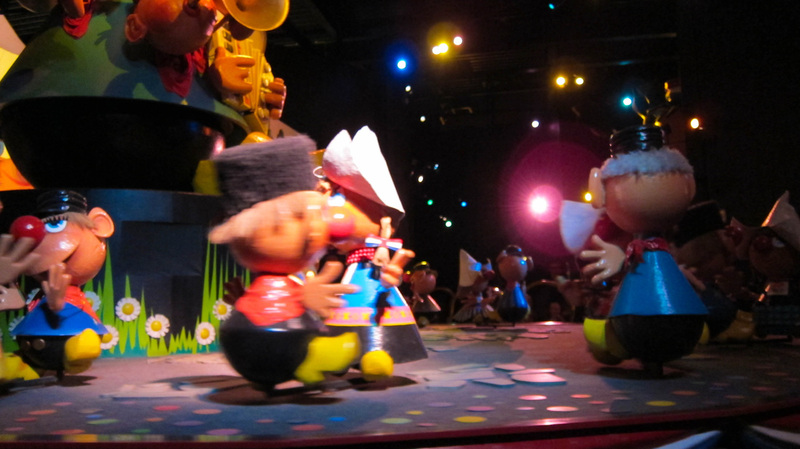 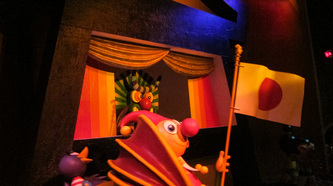 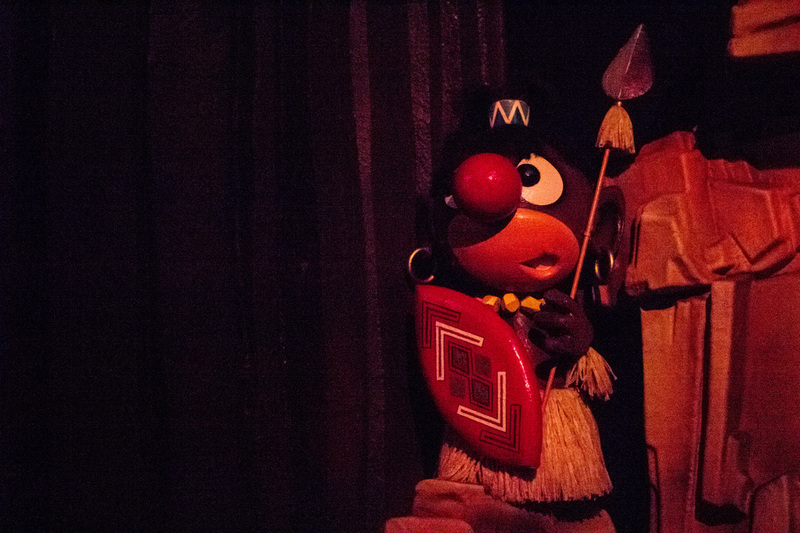 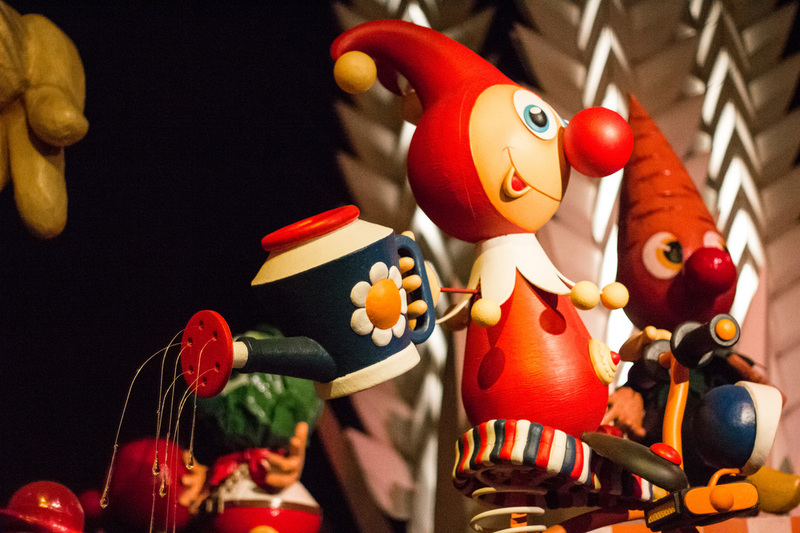 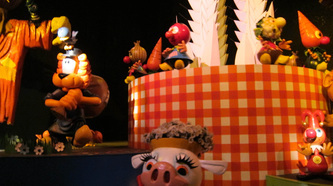 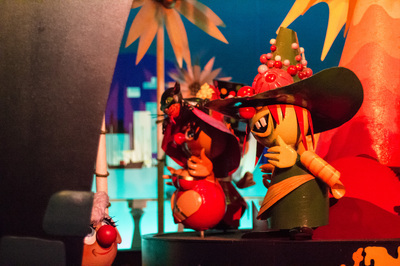 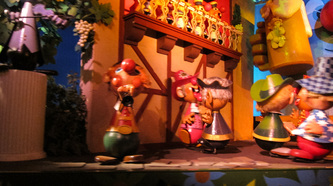 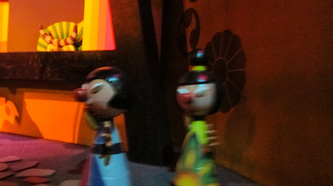 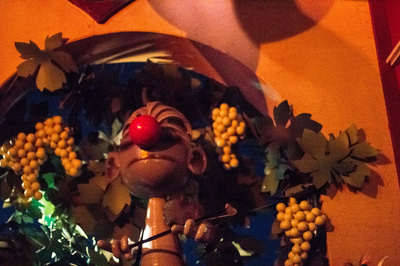 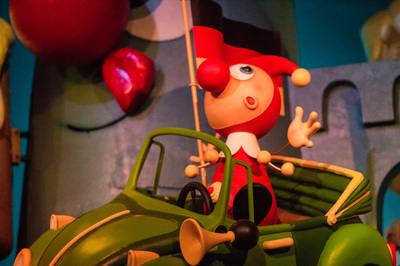 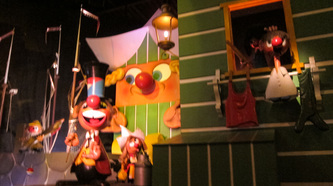 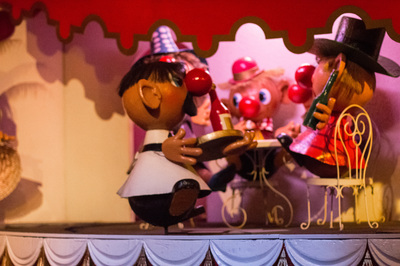 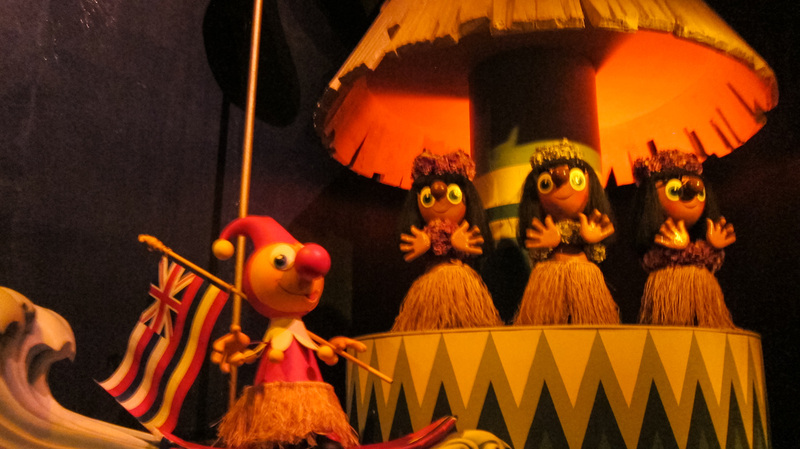 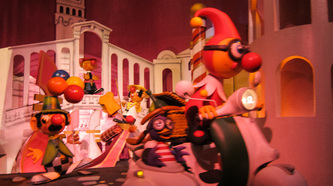 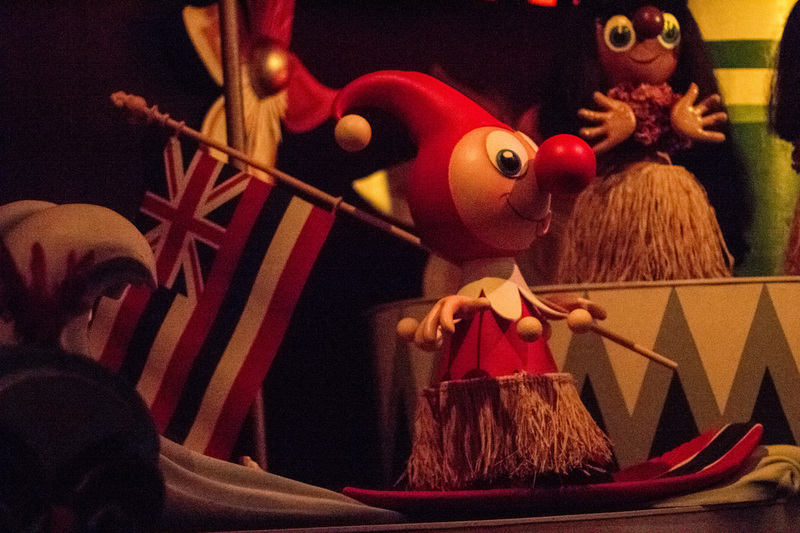 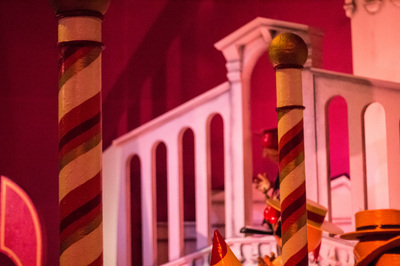 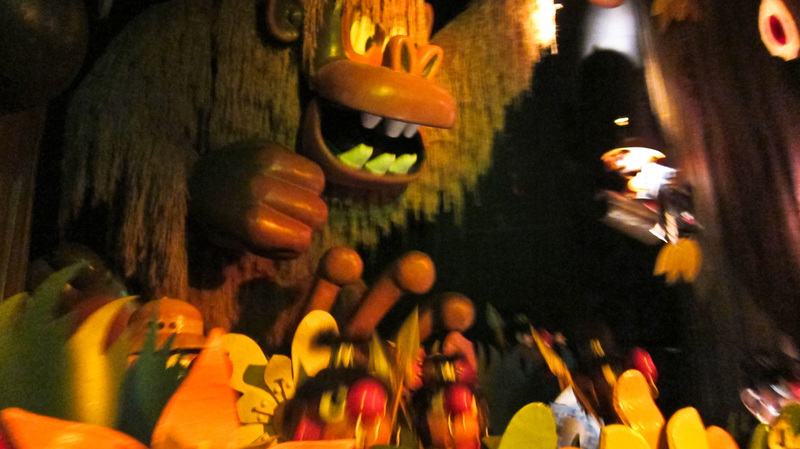 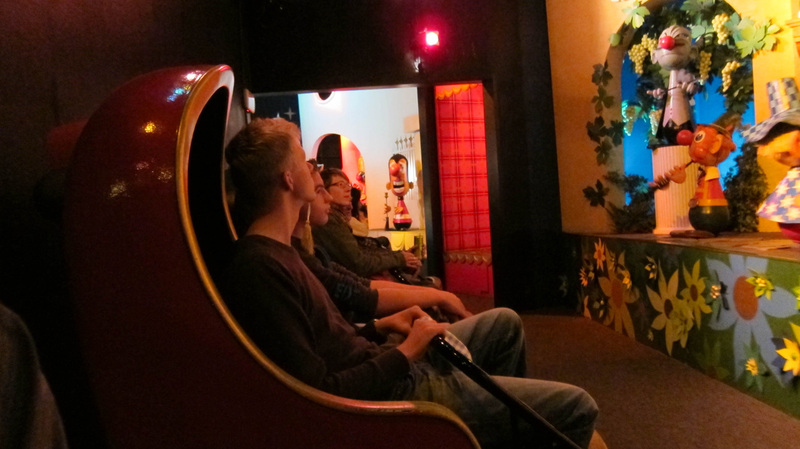 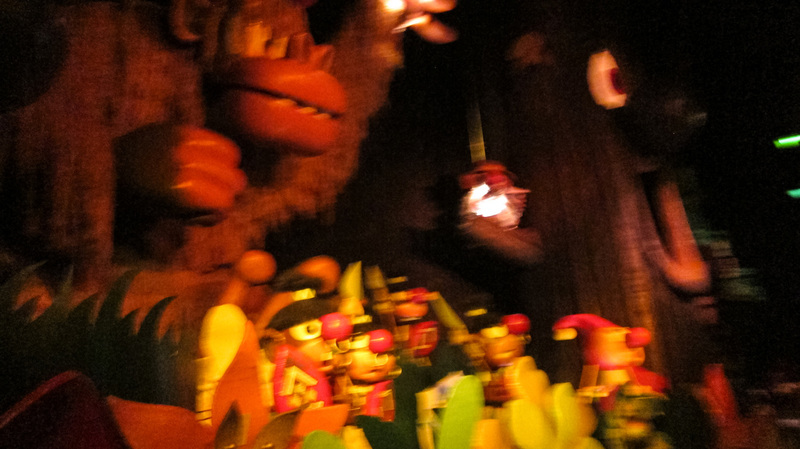 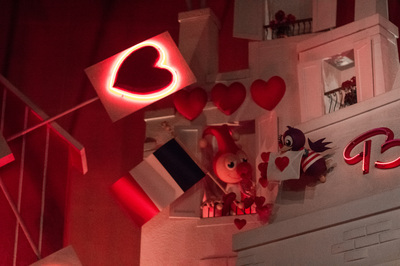 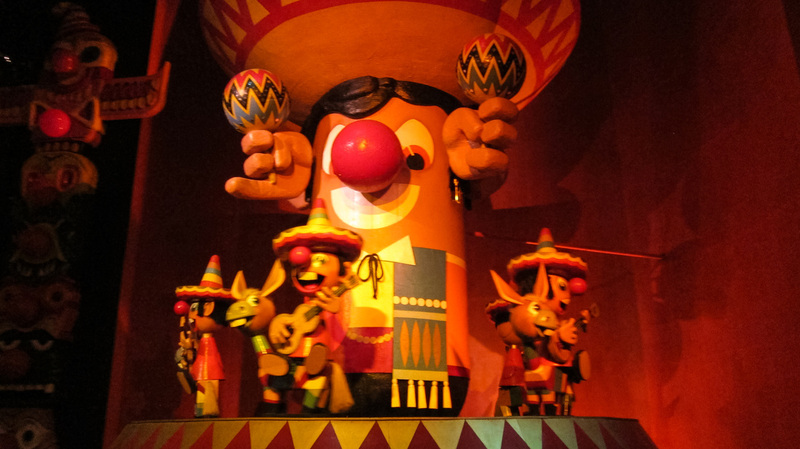 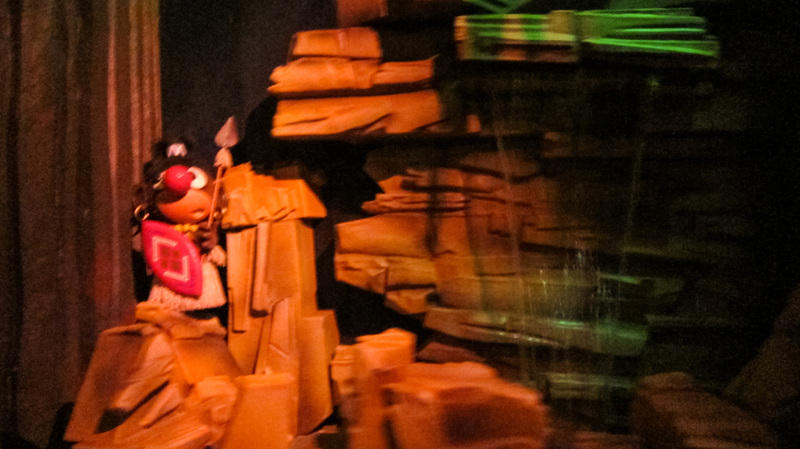 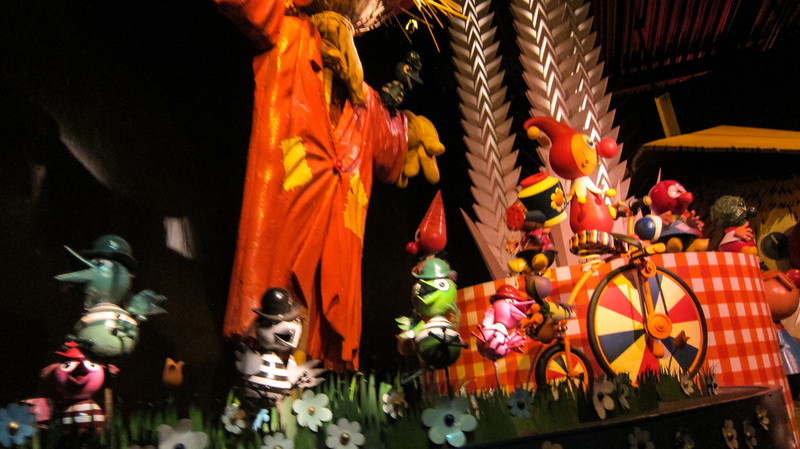 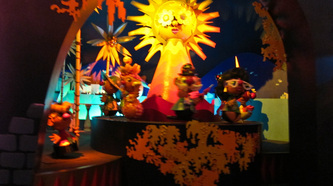 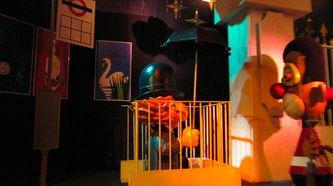 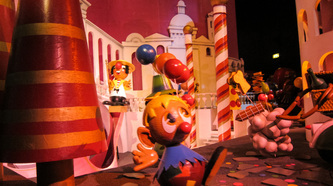 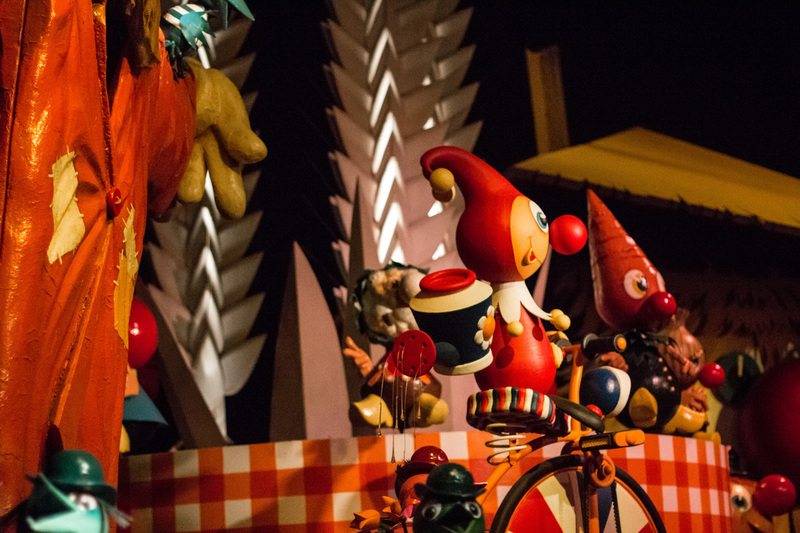 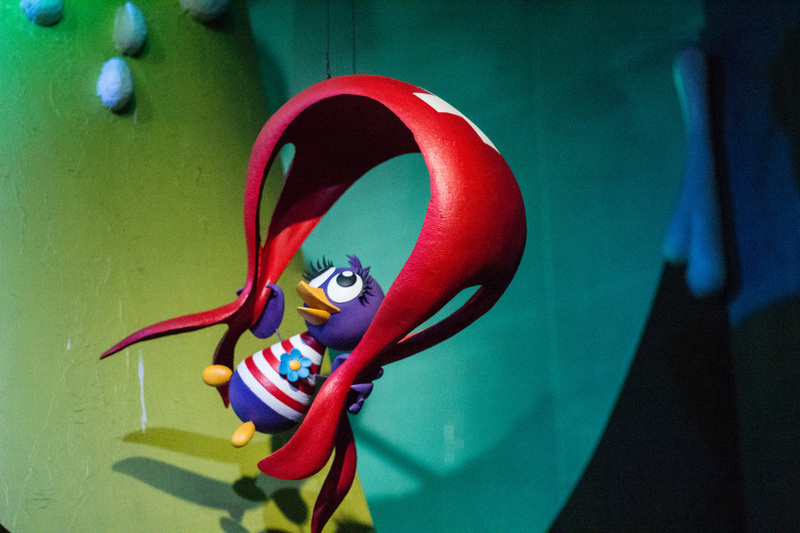 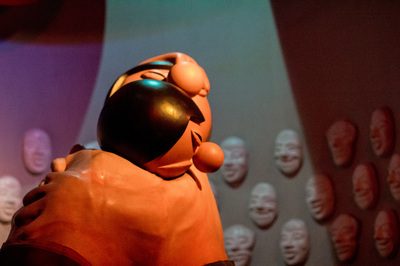 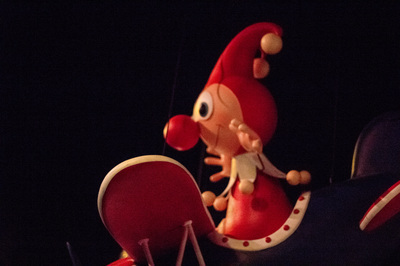 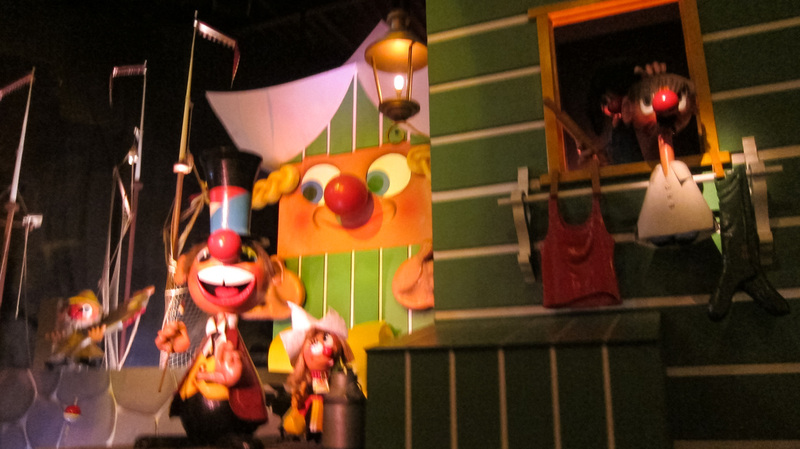 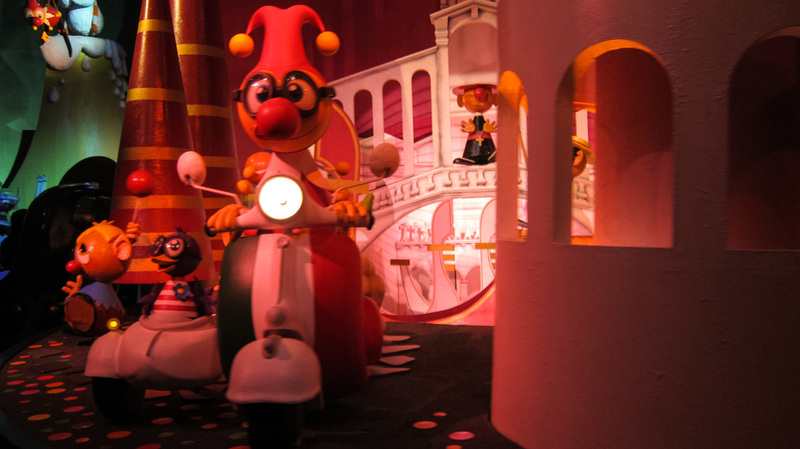 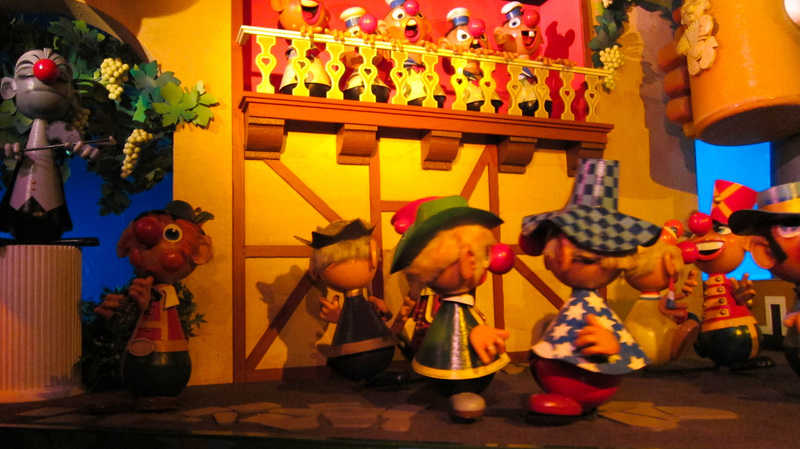 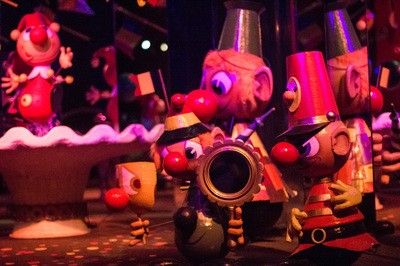 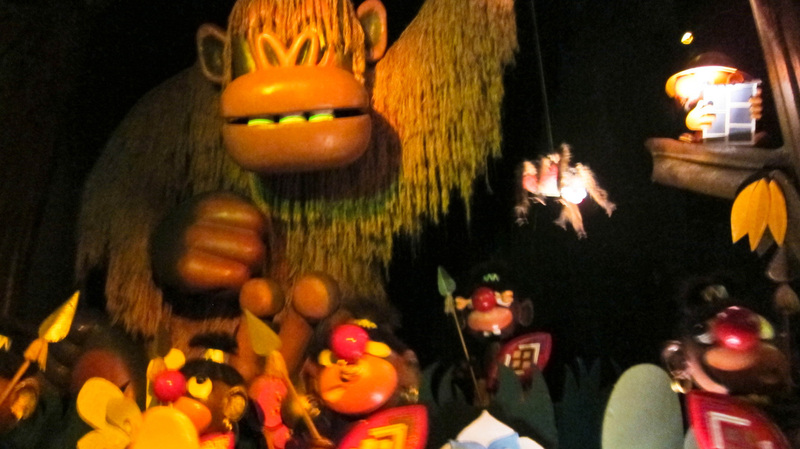 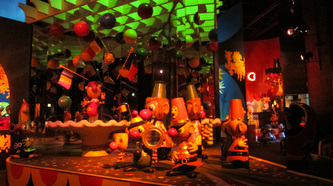 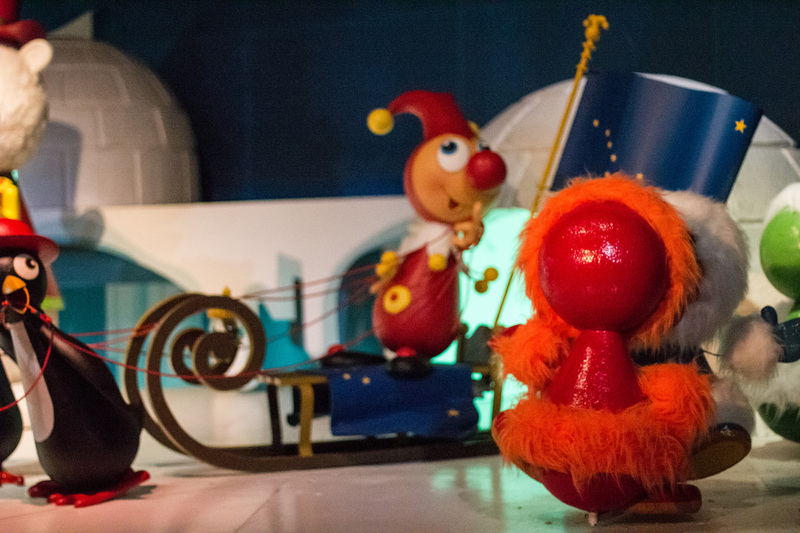 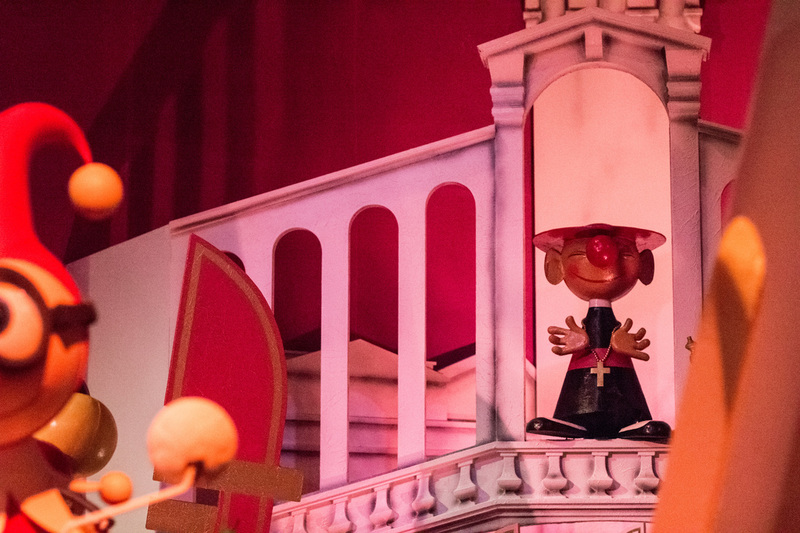 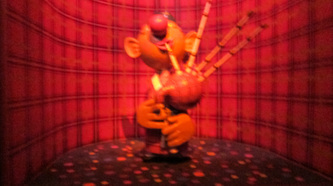 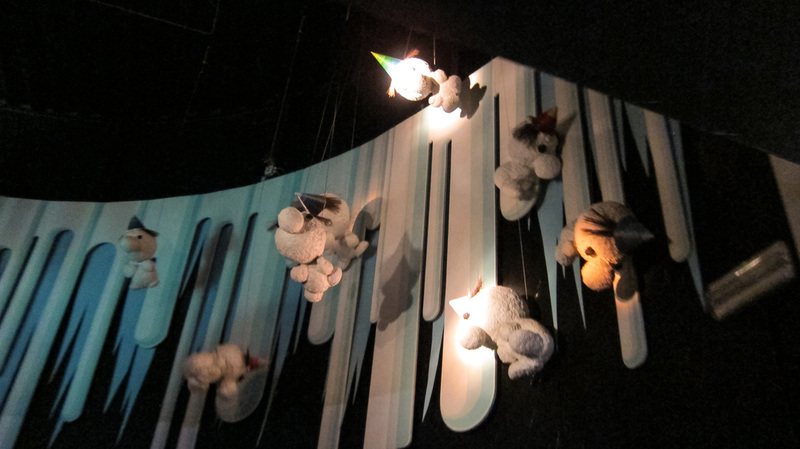 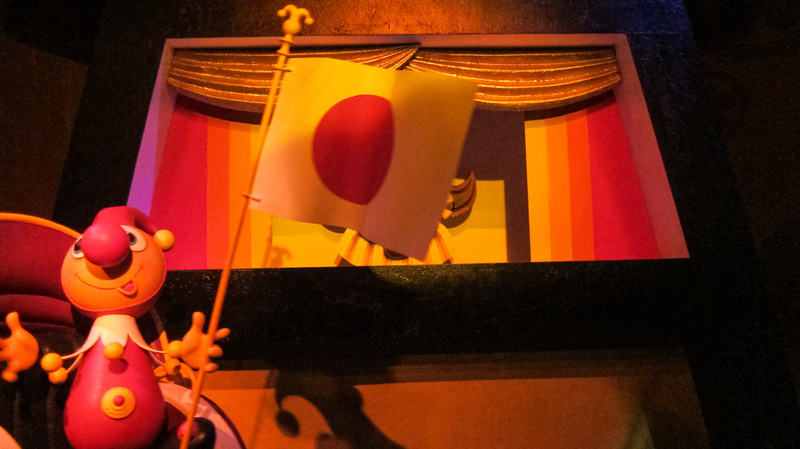 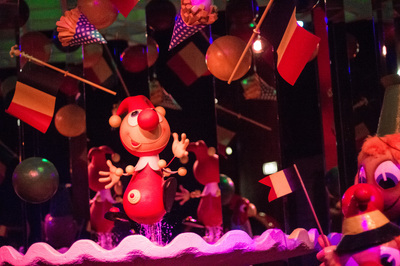 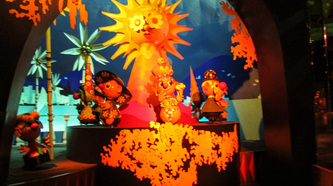 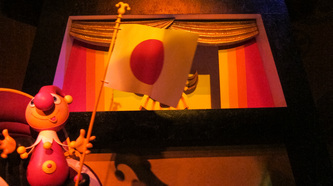 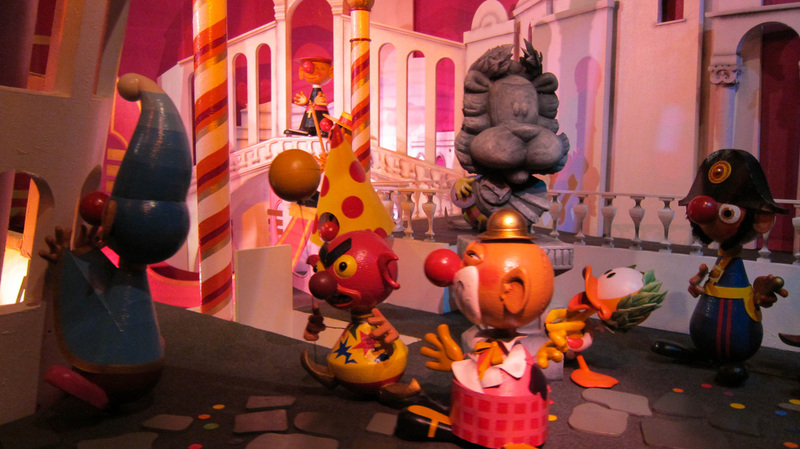 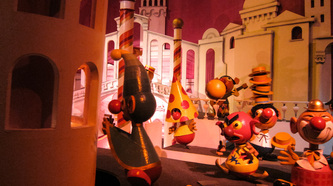 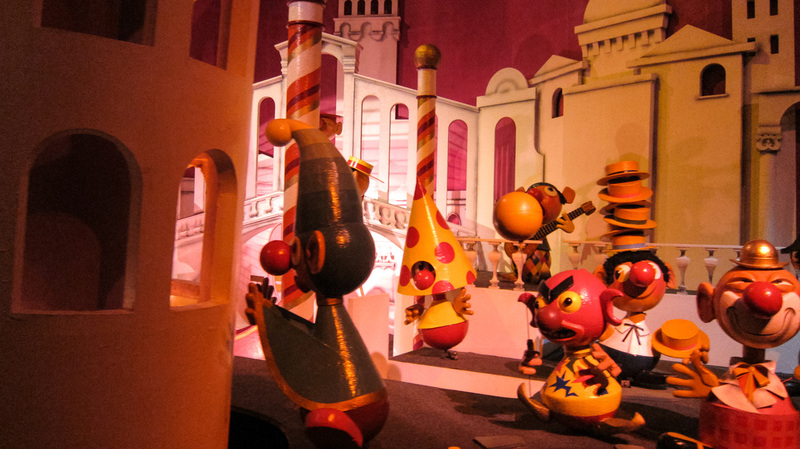 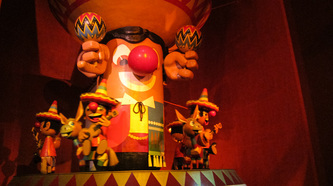 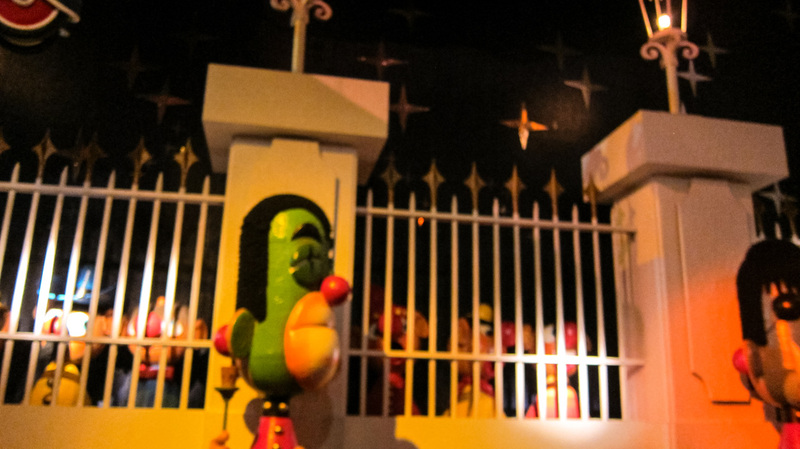 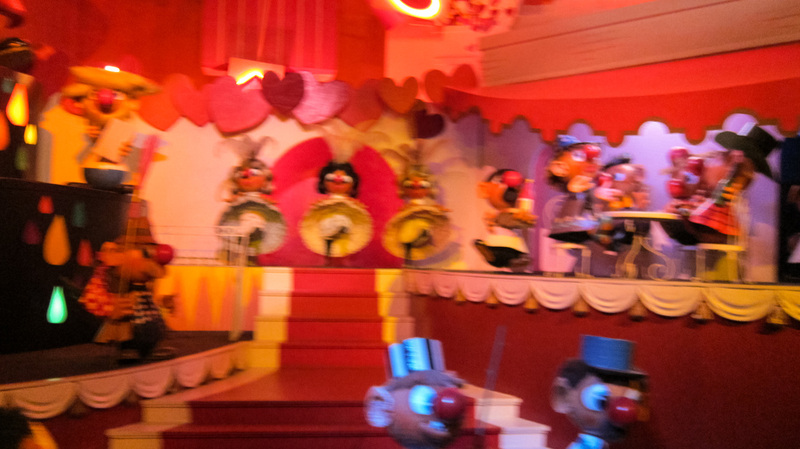 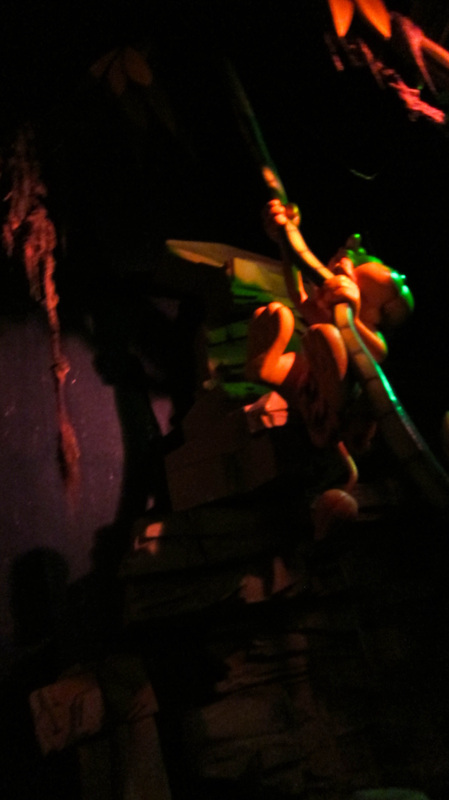 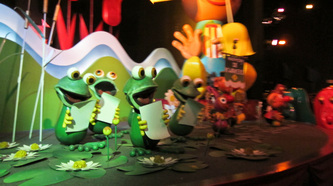 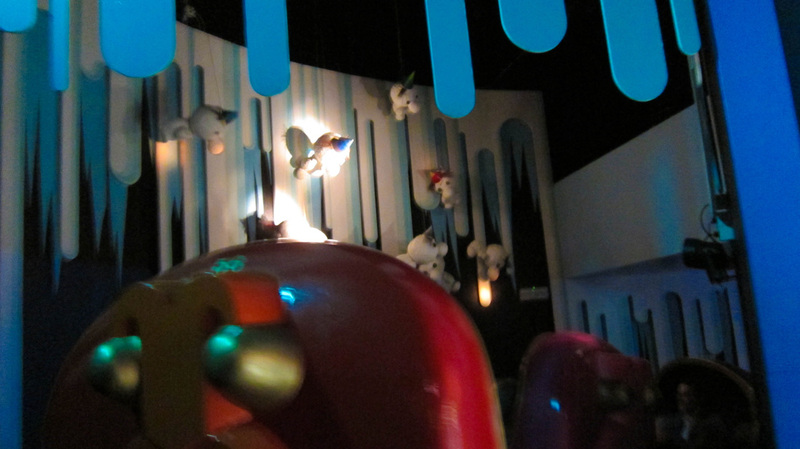 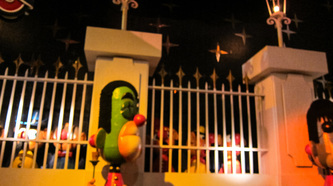 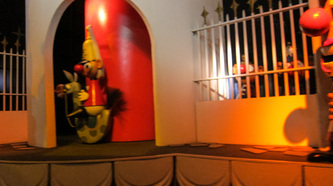 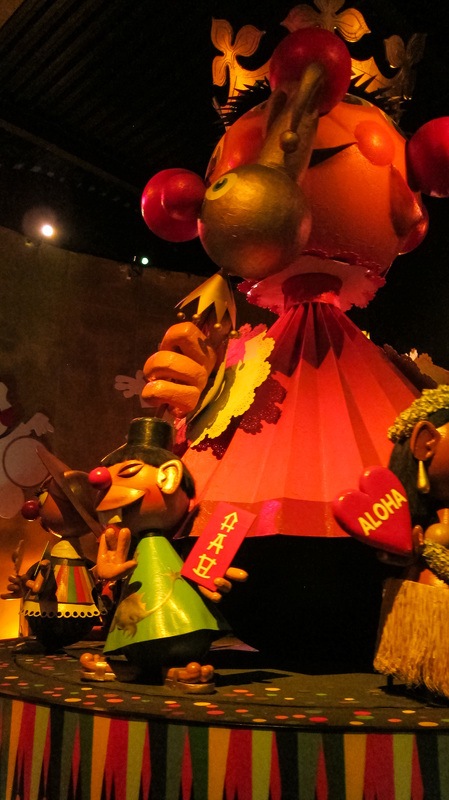 The ride passes through 9 different regions, each represented by typical scenes and variations on the music. 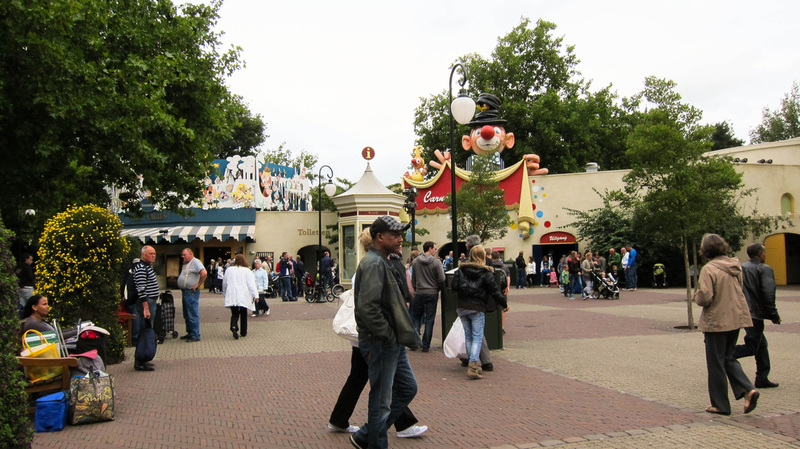 Next in line is the British capital, London. Scenes here show the Underground, Buckingham Palace and the changing of the guard. The Scottish Highlands are also present. 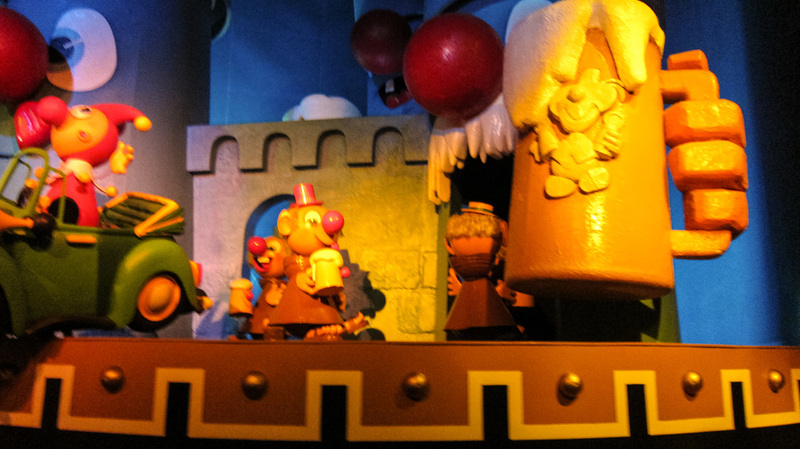 This region is represented by a Oktoberfest, where everybody is happily drinking beer, including a group of Monks. 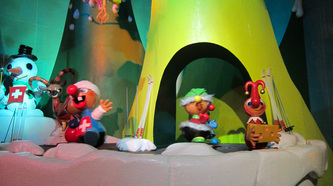 Some mountain scenes from the Alps conclude this part. 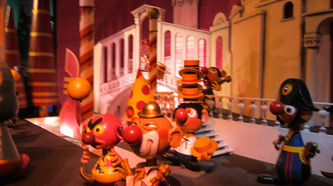 Here we see Venice, Pisa and a reference to Rome’s imperial history. 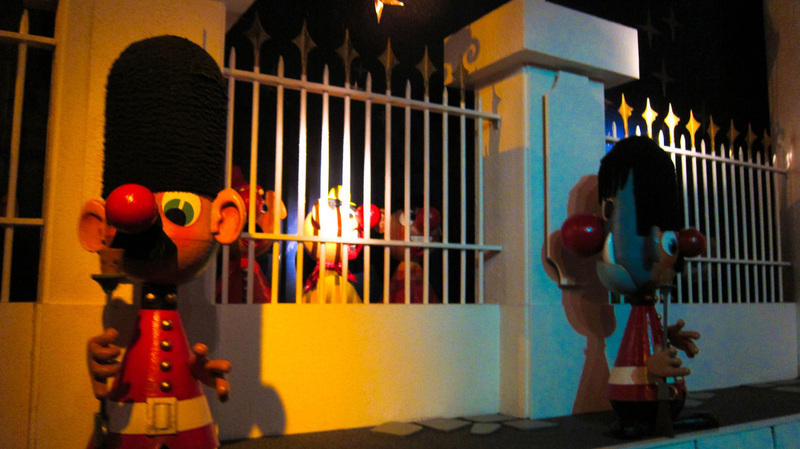 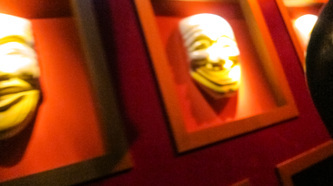 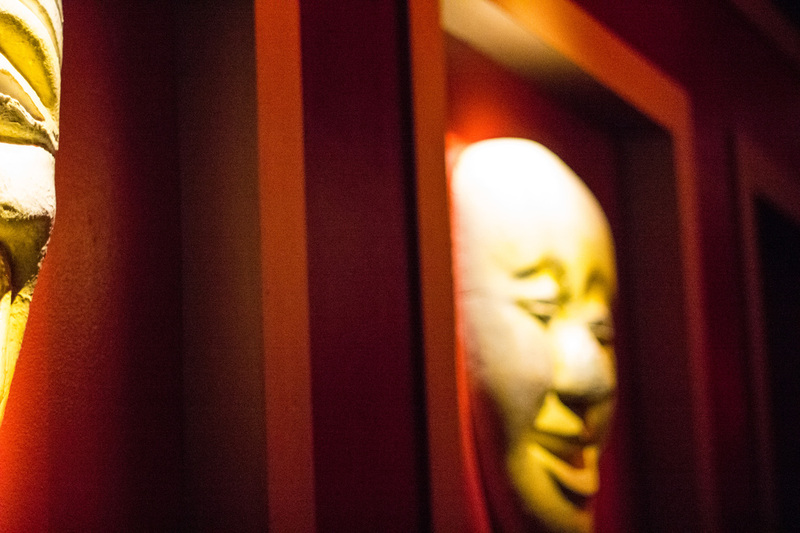 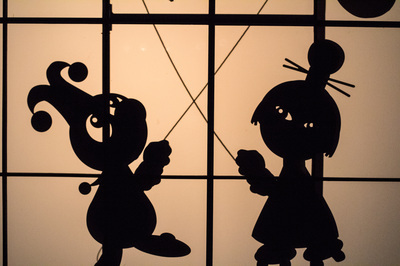 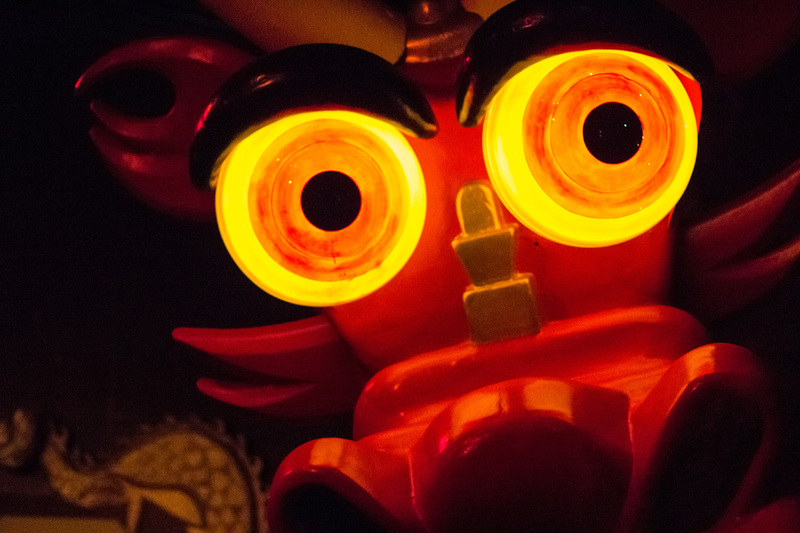 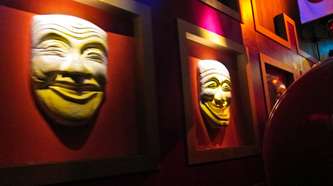 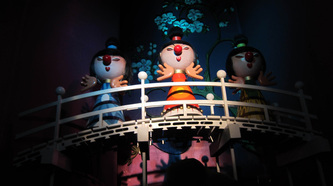 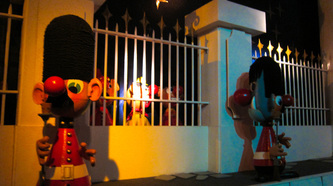 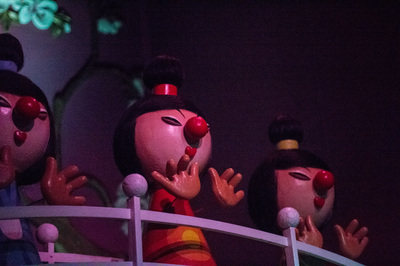 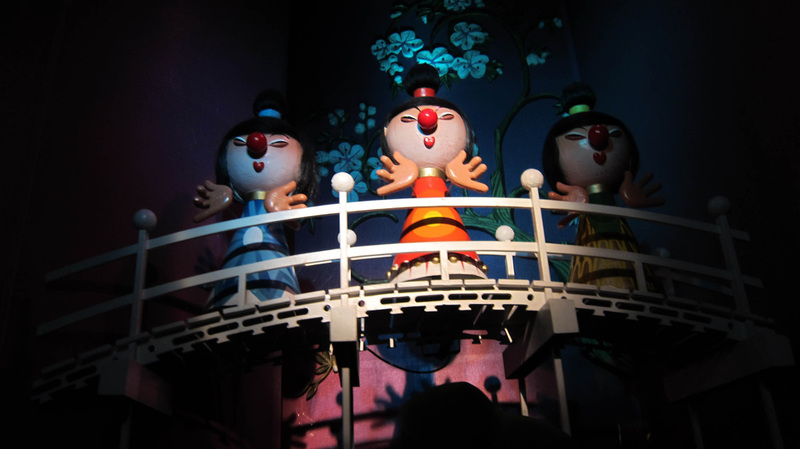 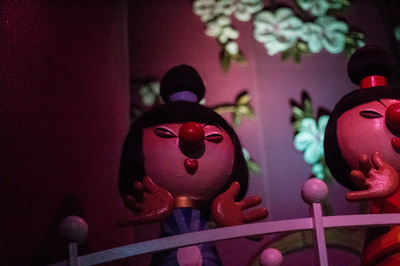 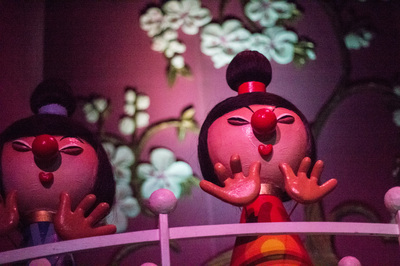 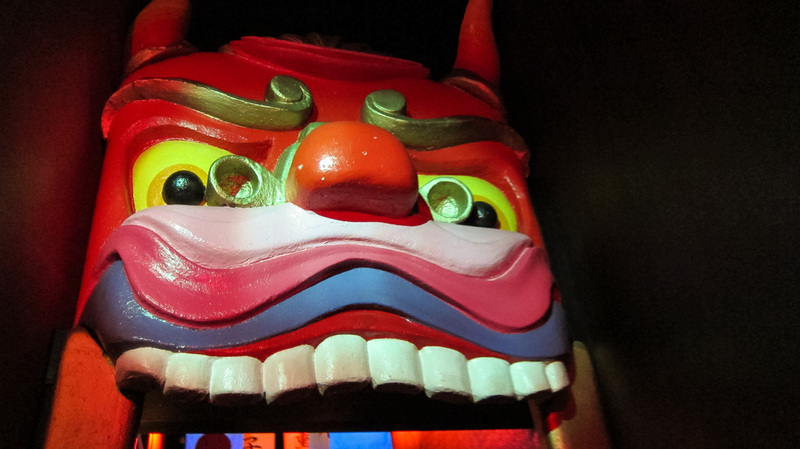 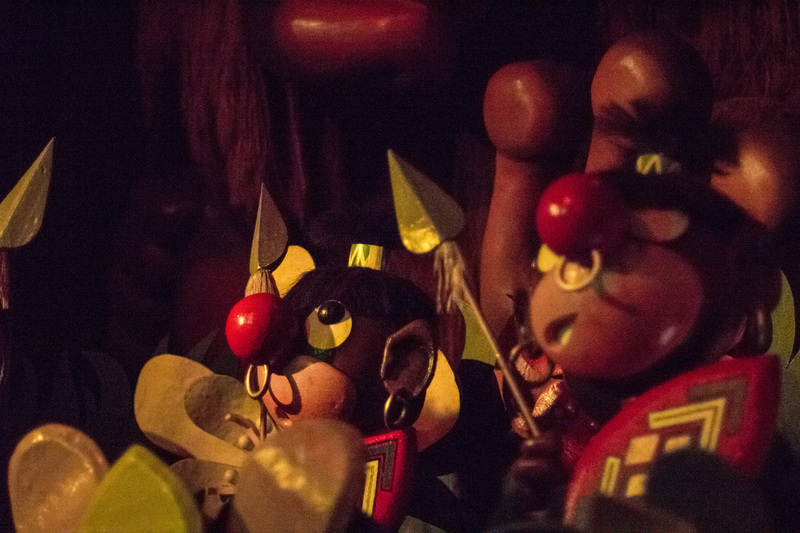 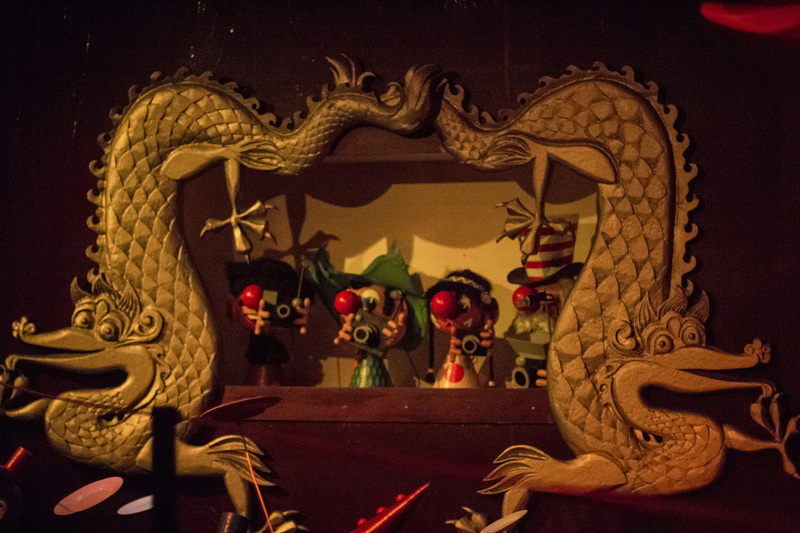 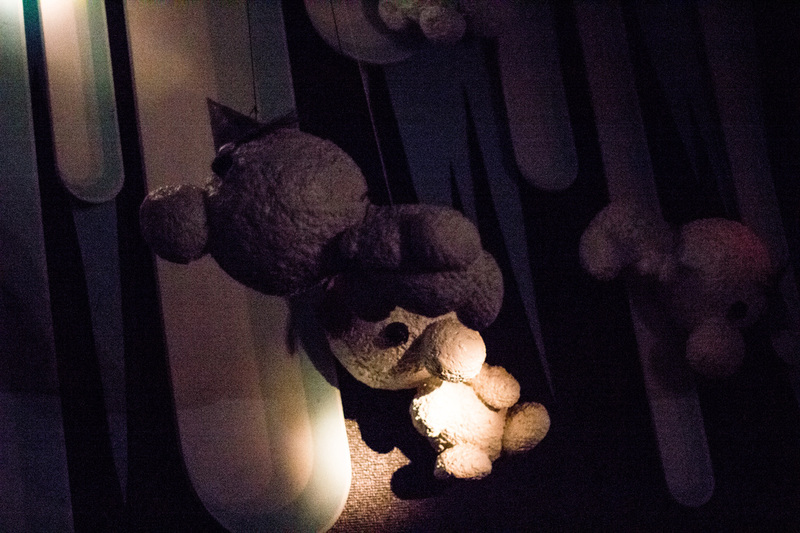 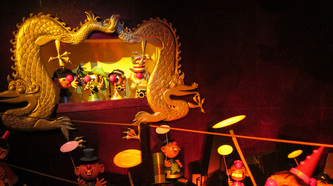 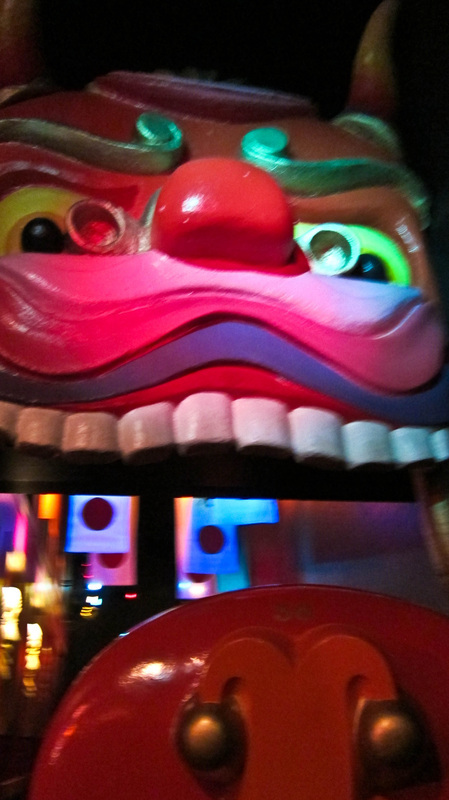 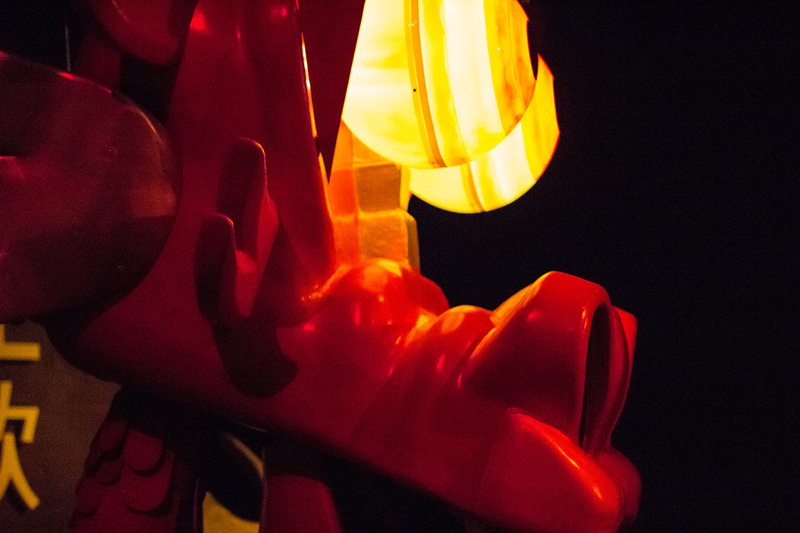 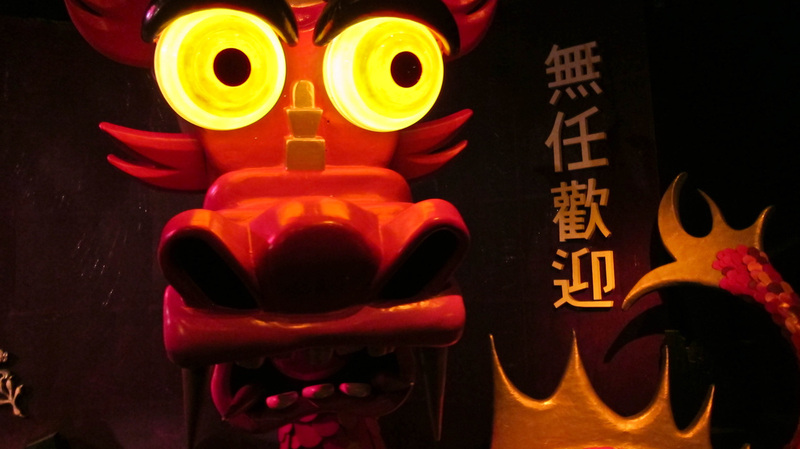 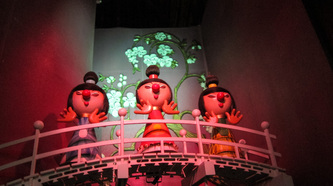 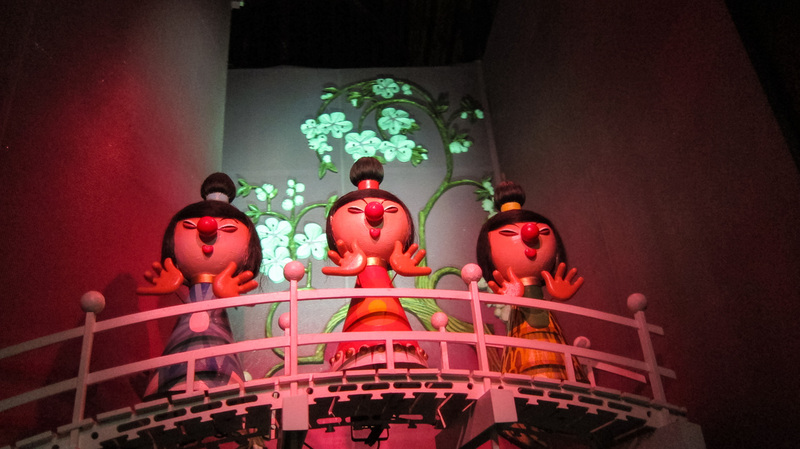 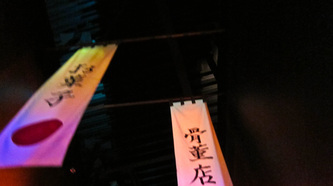 This scene opens with a tunnel decorated with Japanese Noh stage masks. 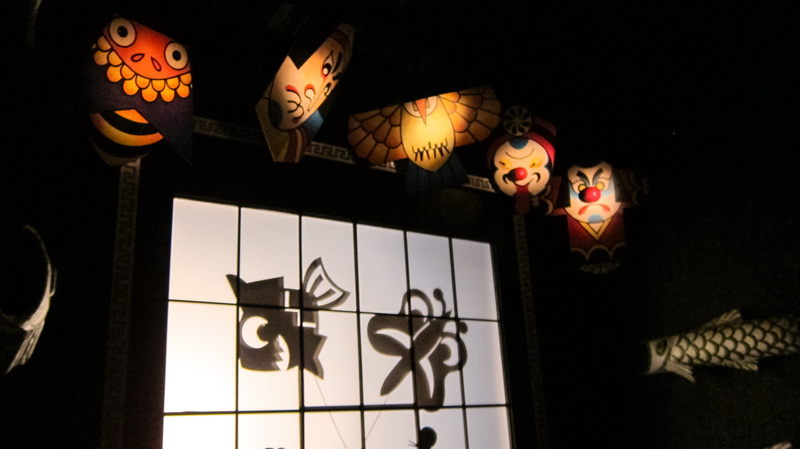 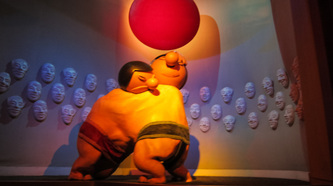 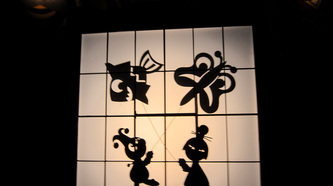 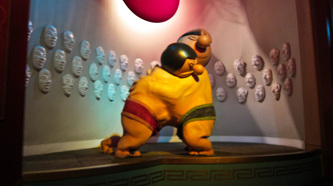 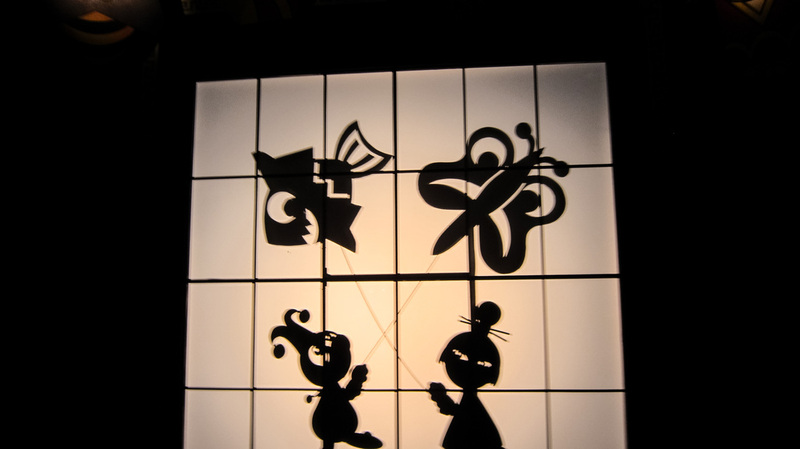 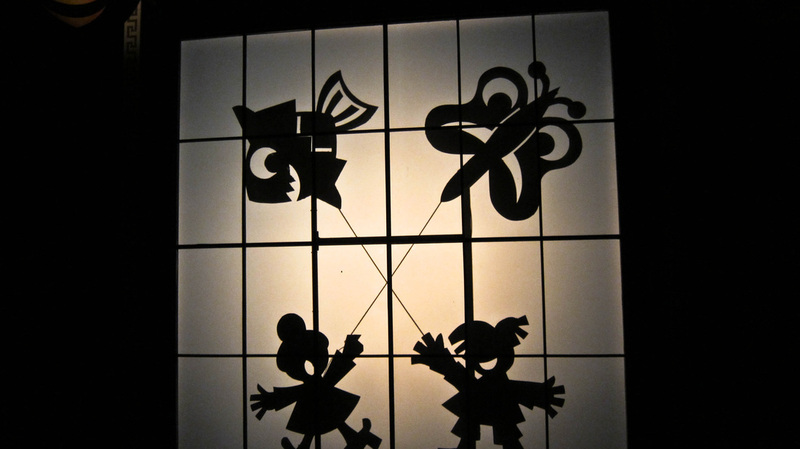 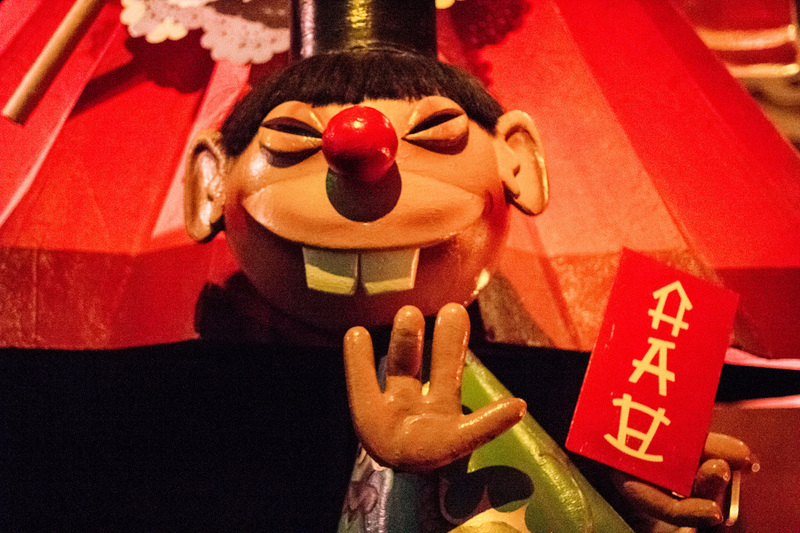 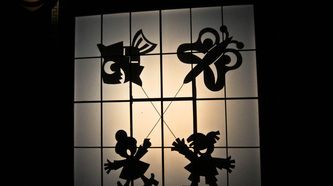 After that we see some Geisha women, sumo wrestling and a Chinese Shadow play. 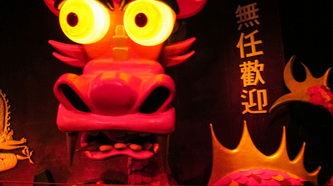 China is portrayed by a large scene with a dragon. 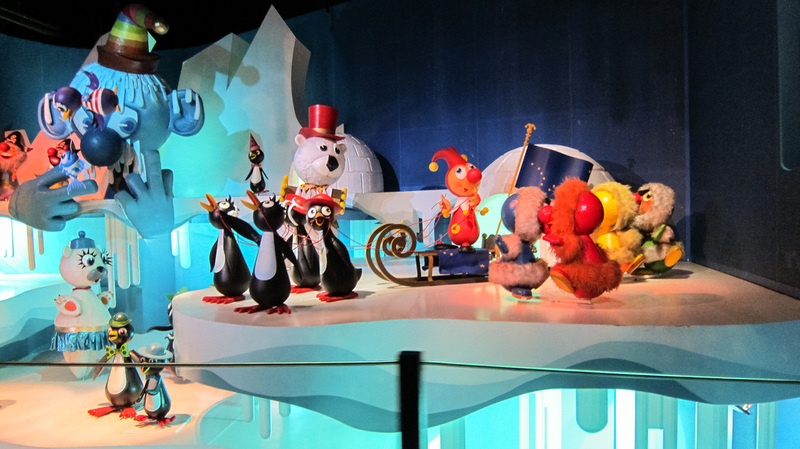 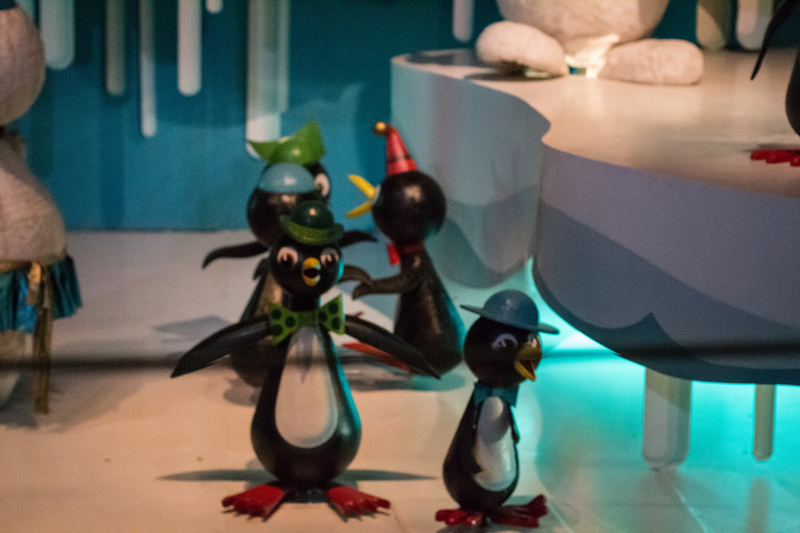 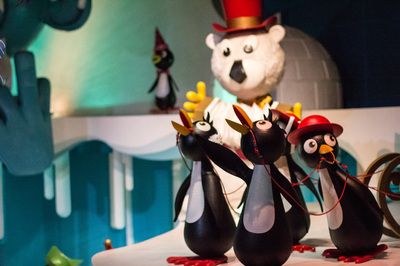 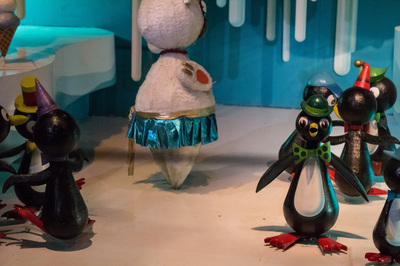 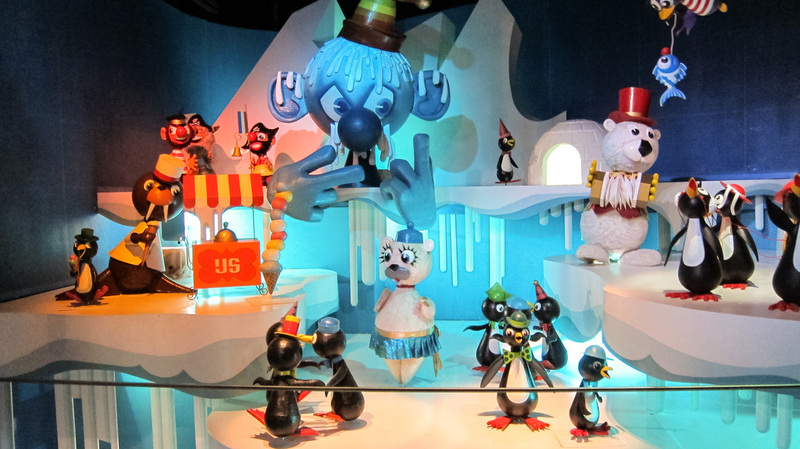 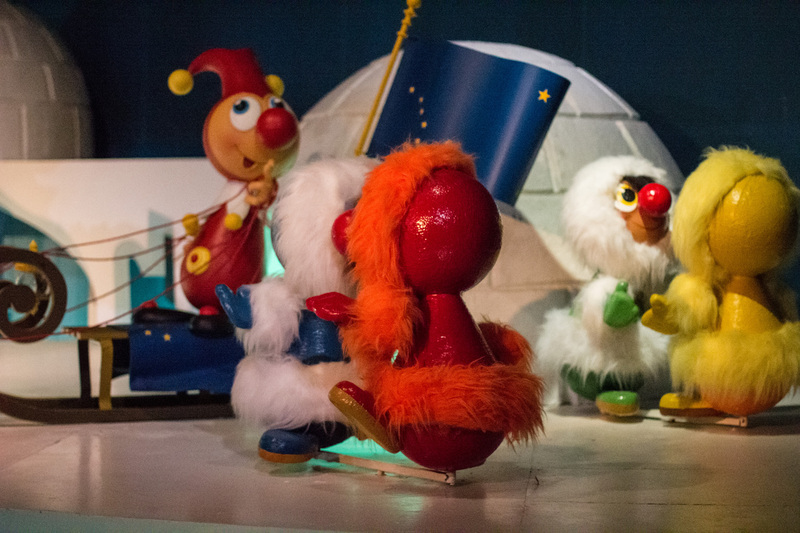 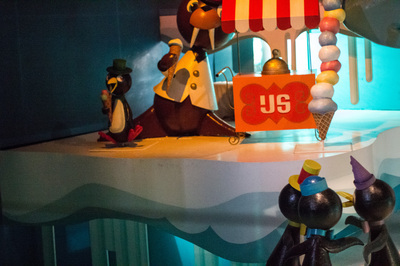 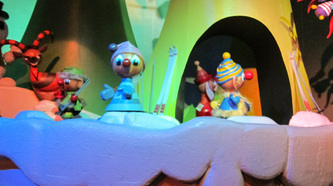 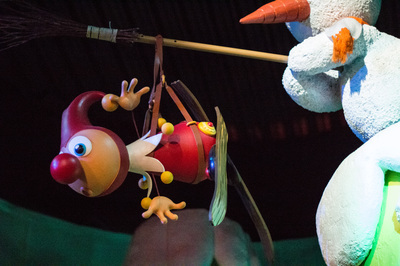 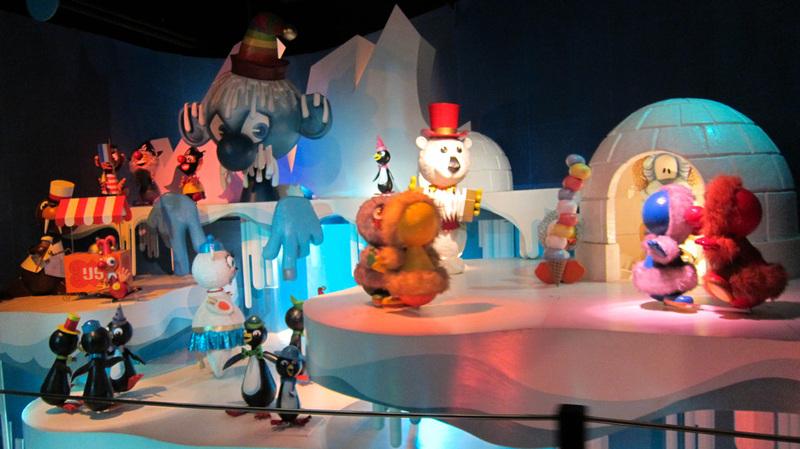 This is a scene with an icy world filled with igloos and Eskimos and a lot of penguin-sized, snowman-like creatures. 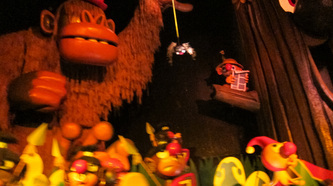 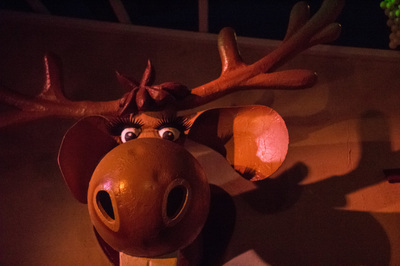 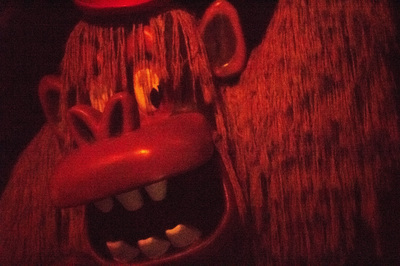 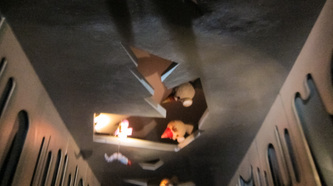 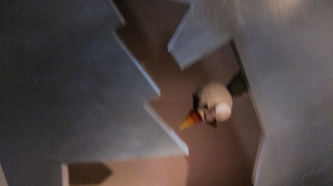 After this scene the ride goes through a tunnel where lots of these creatures stare down on the visitor through holes in the ceiling. 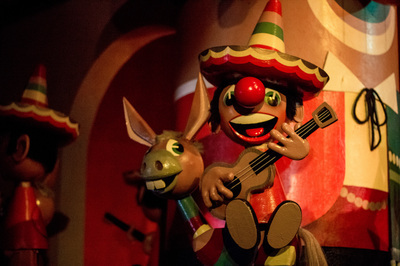 Little donkeys transport Mexicans, of course with sombreros and maracas; guitars and trumpets. 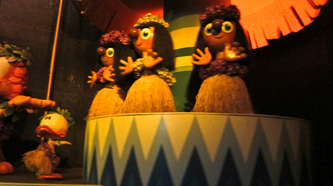 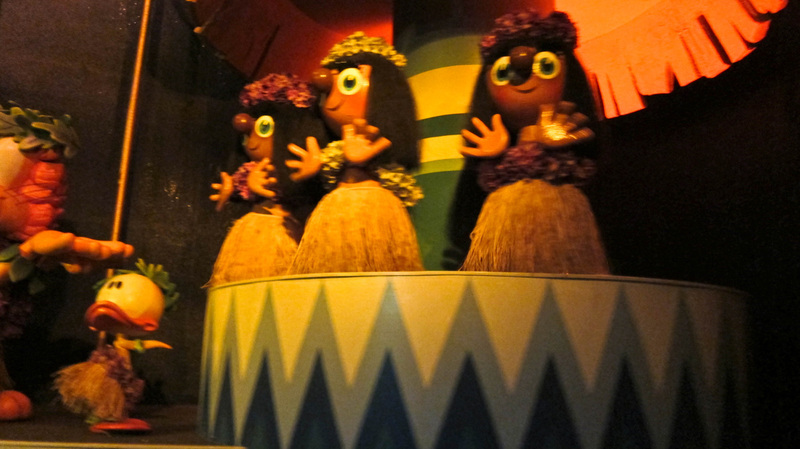 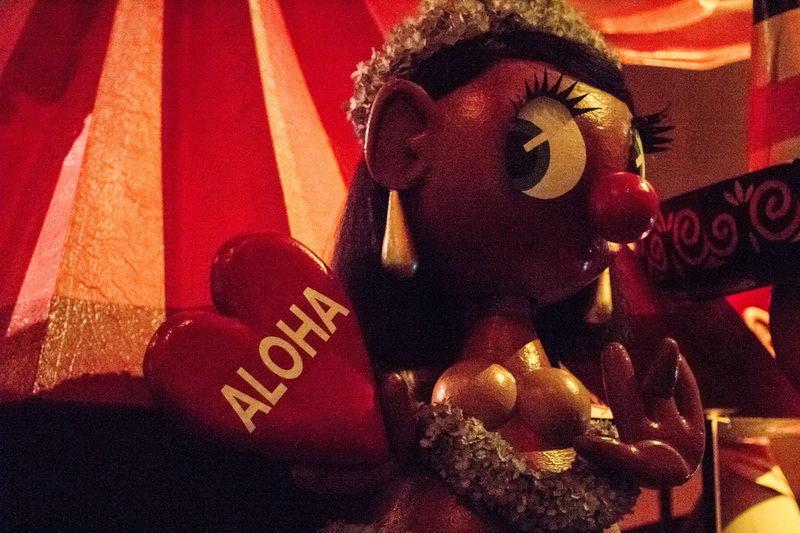 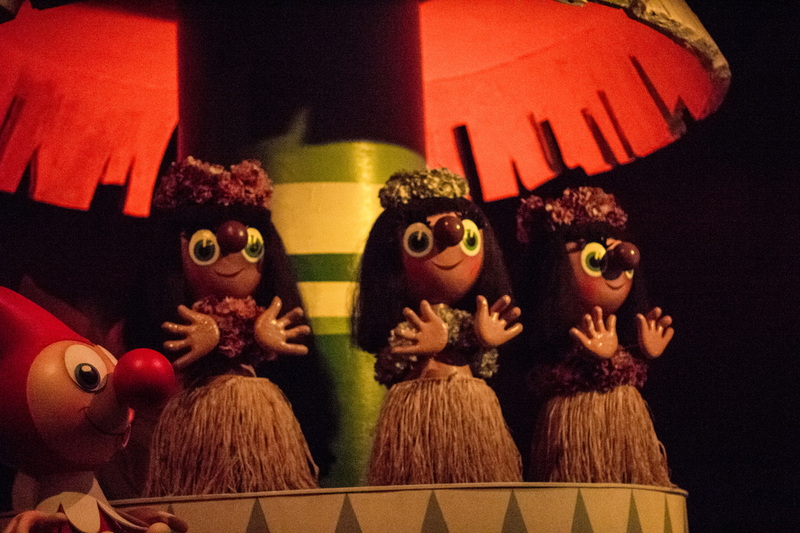 Hawaiian Hula girls bid us a farewell. 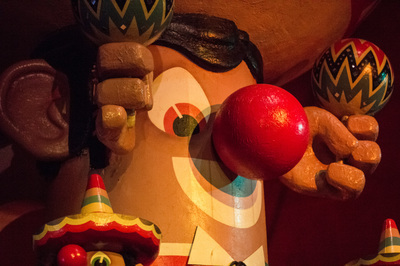 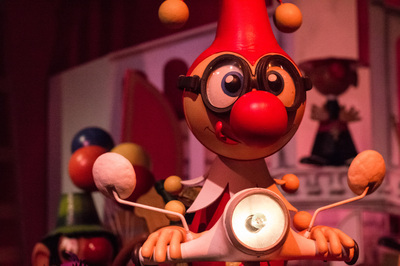 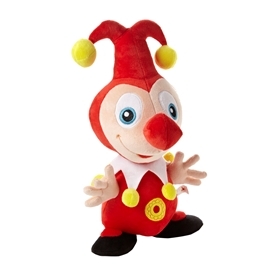 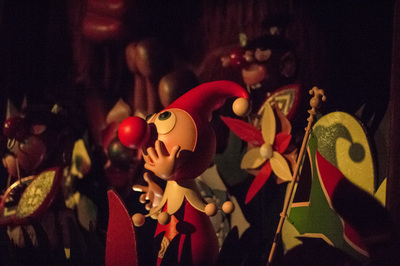 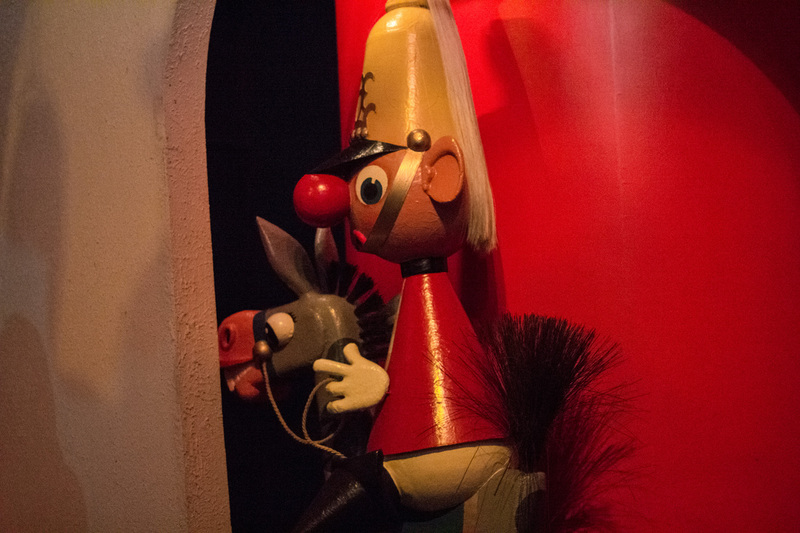 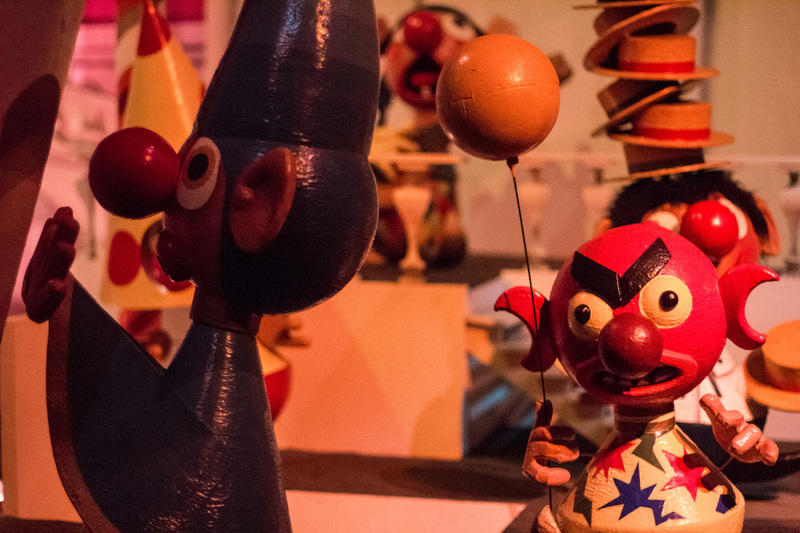 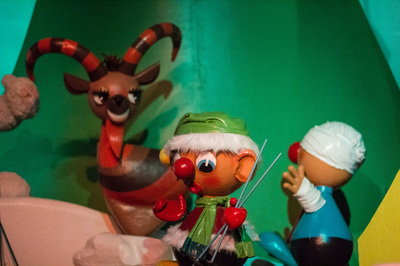 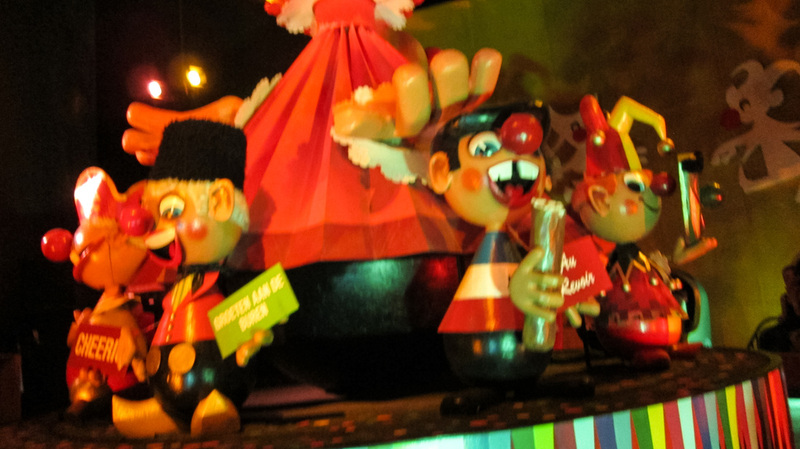 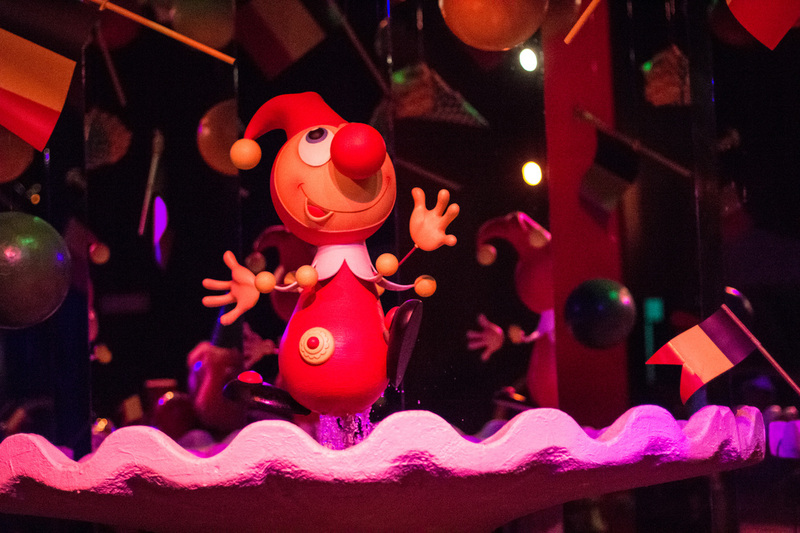 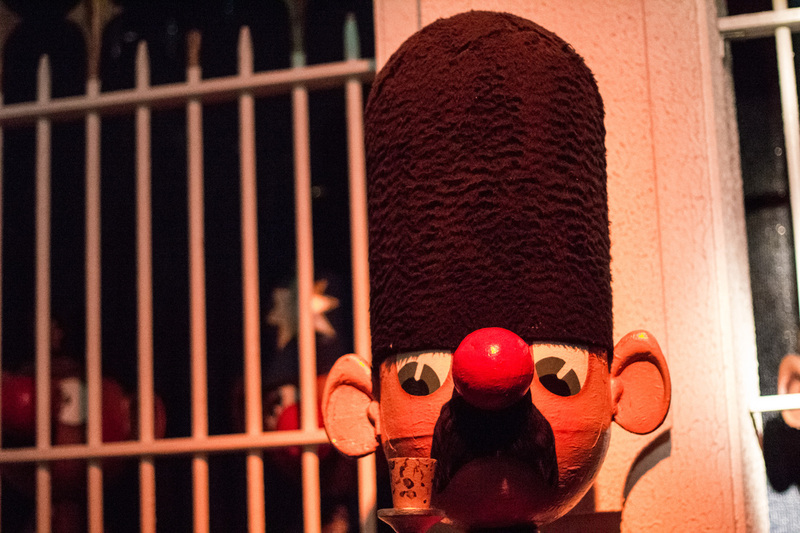 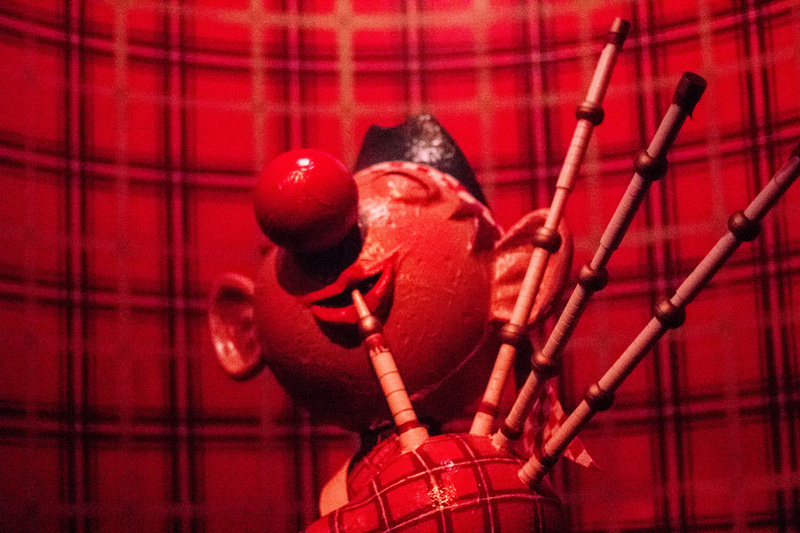 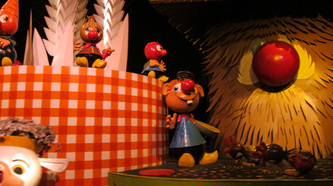 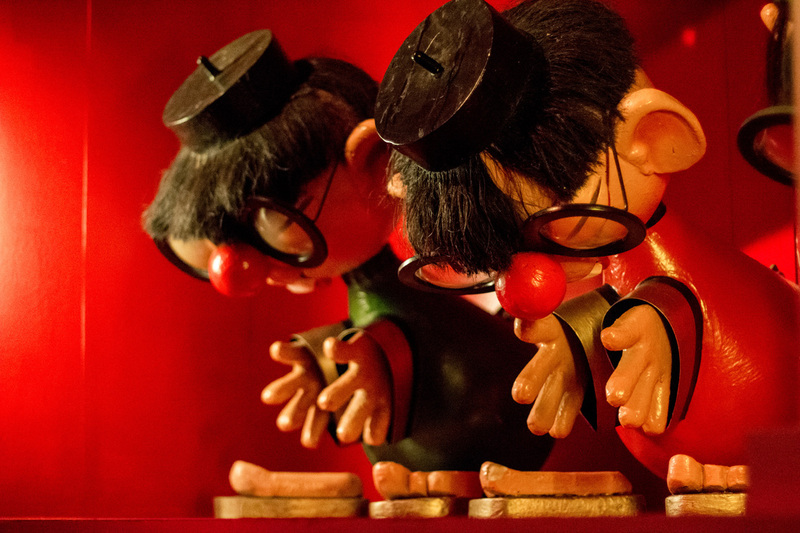 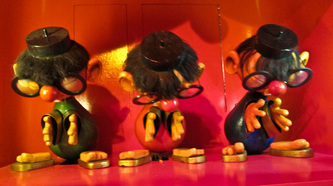 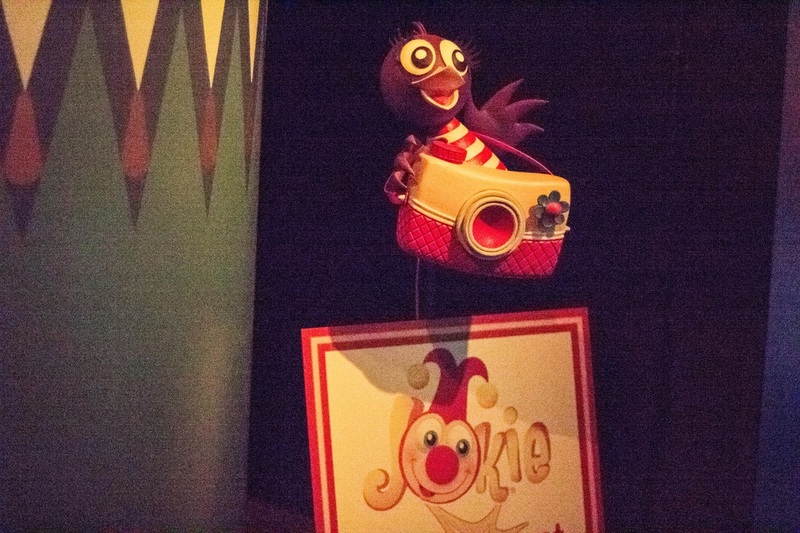 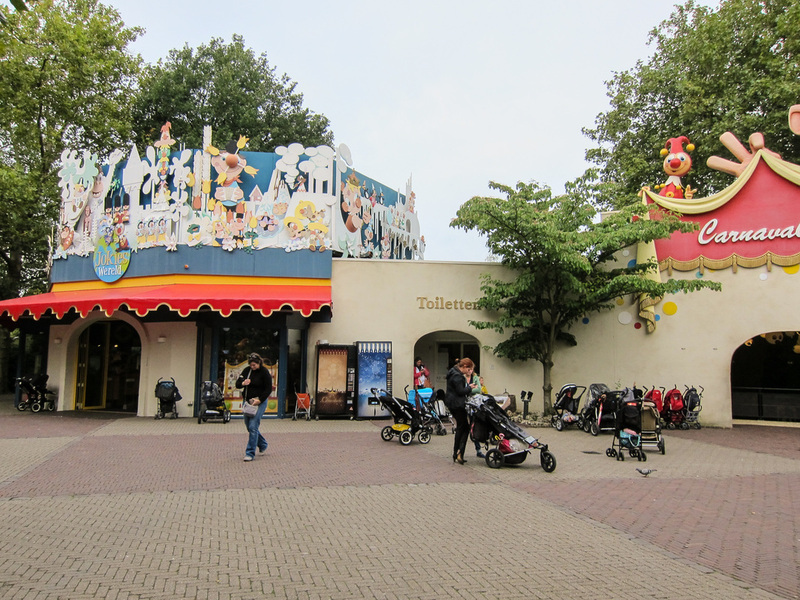 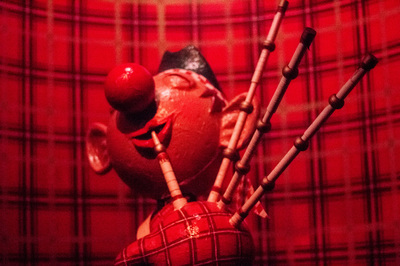 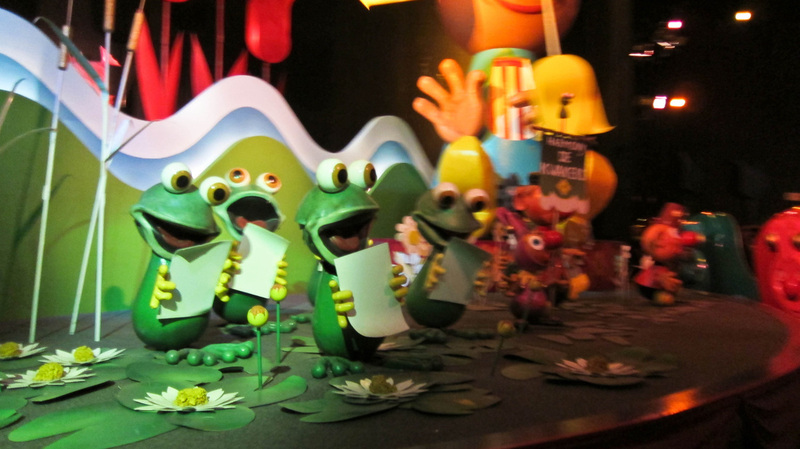 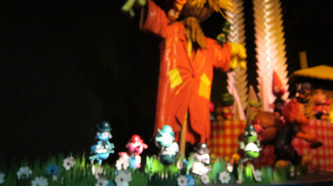 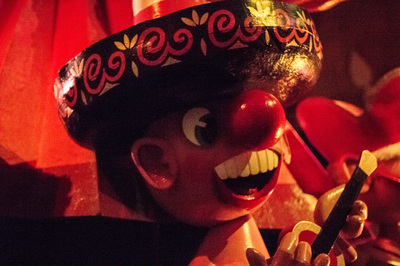 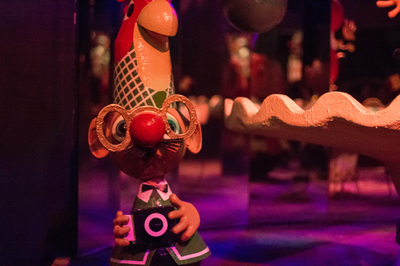 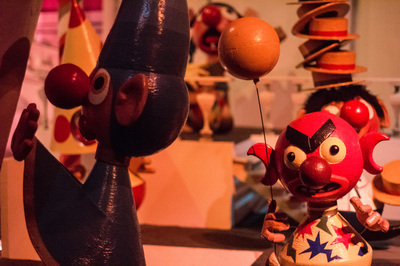 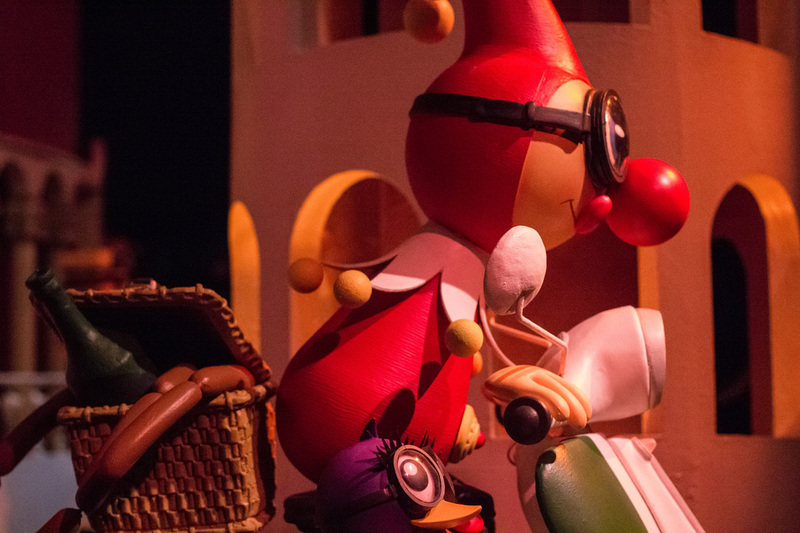 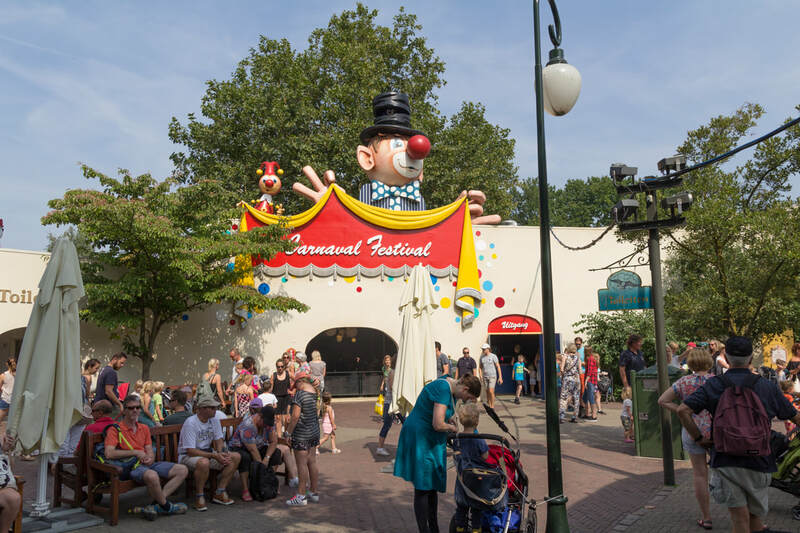 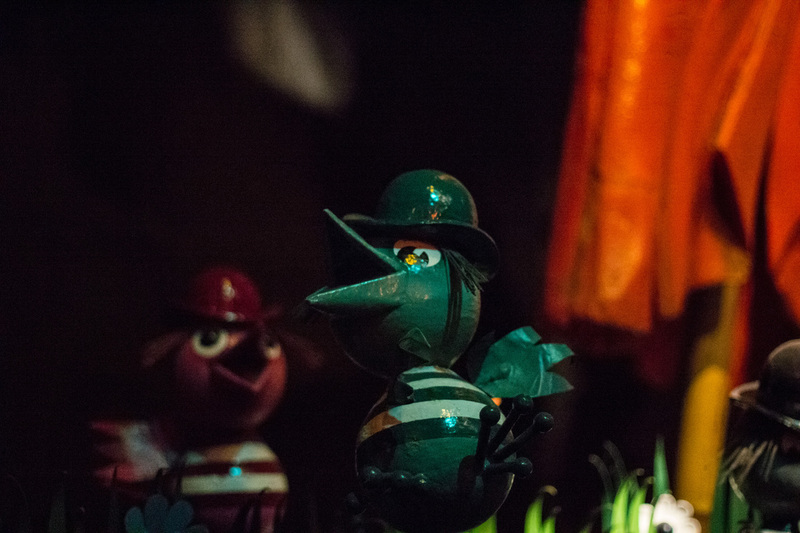 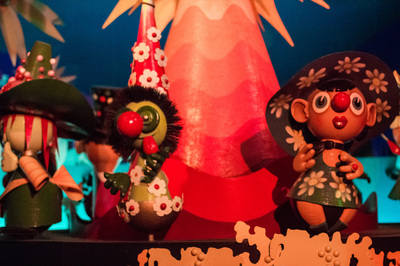 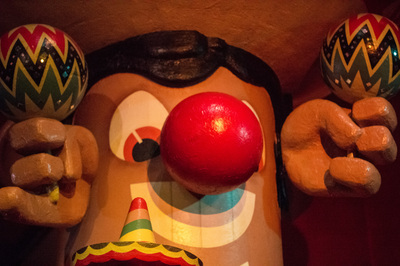 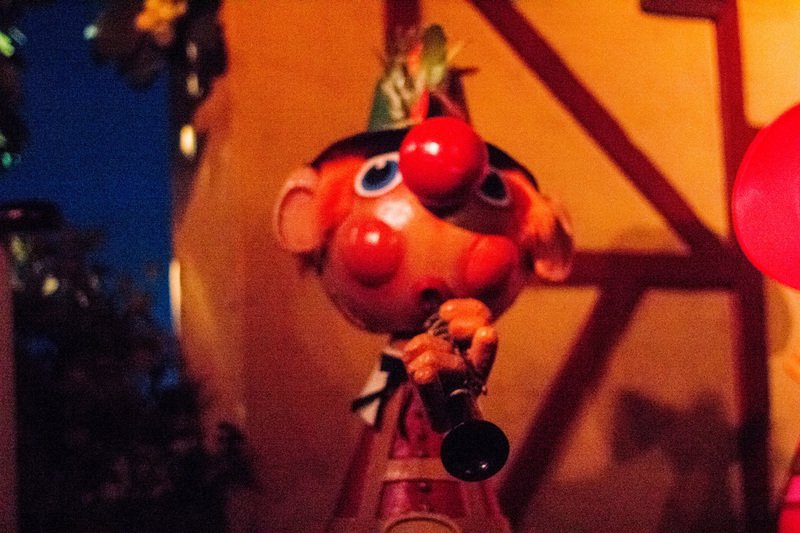 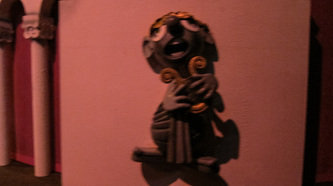 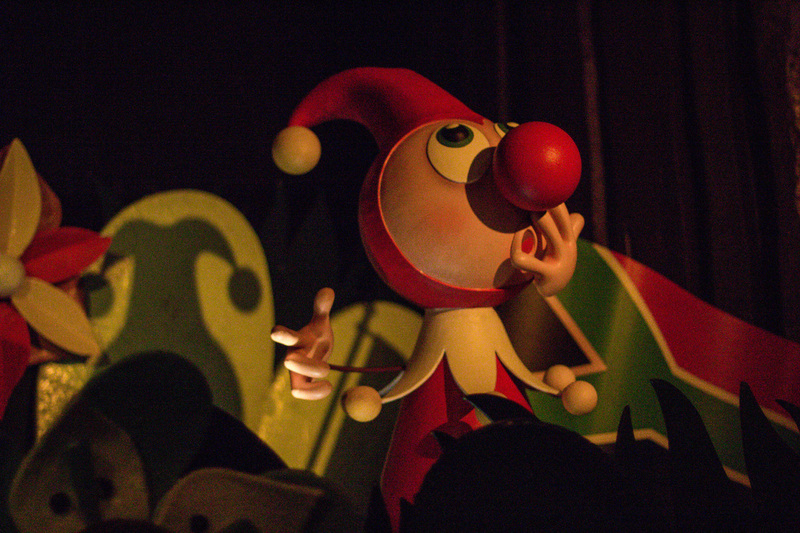 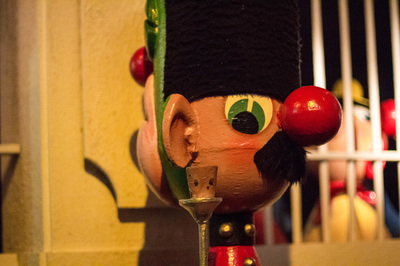 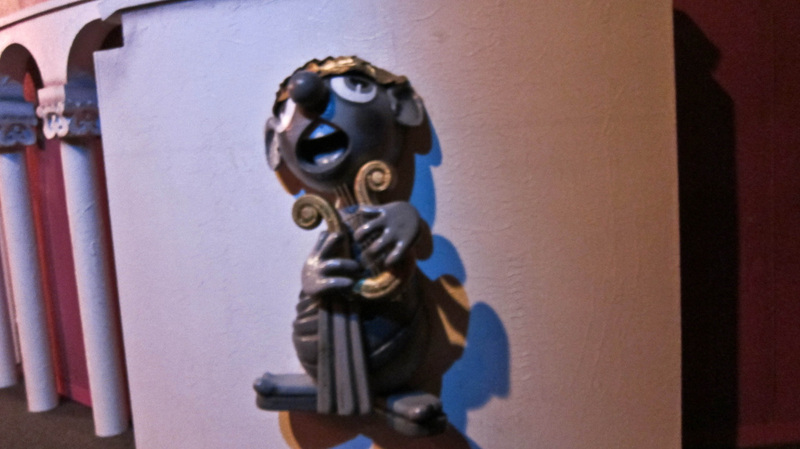 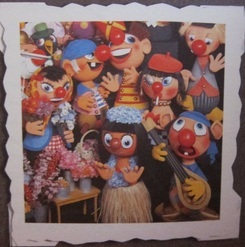 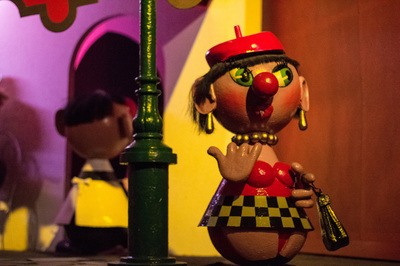 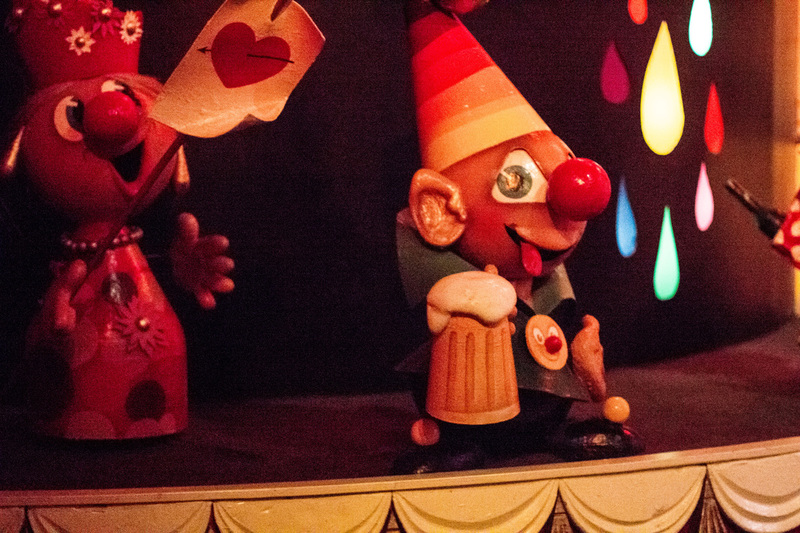 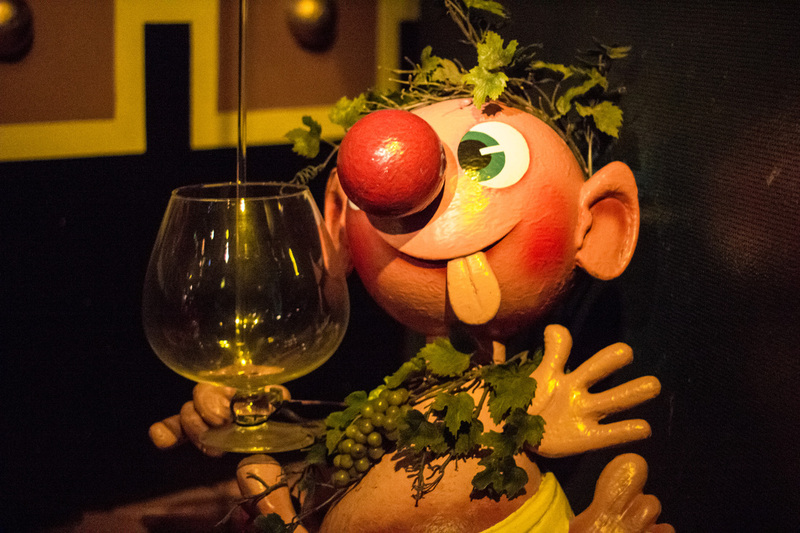 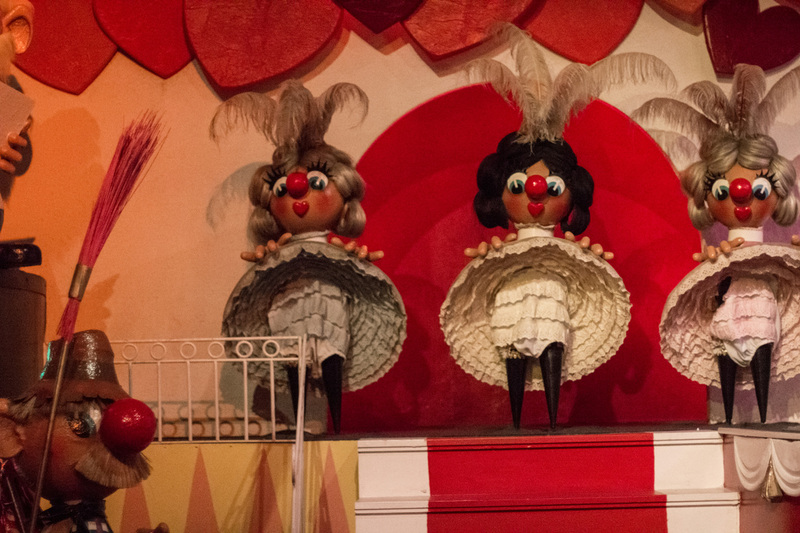 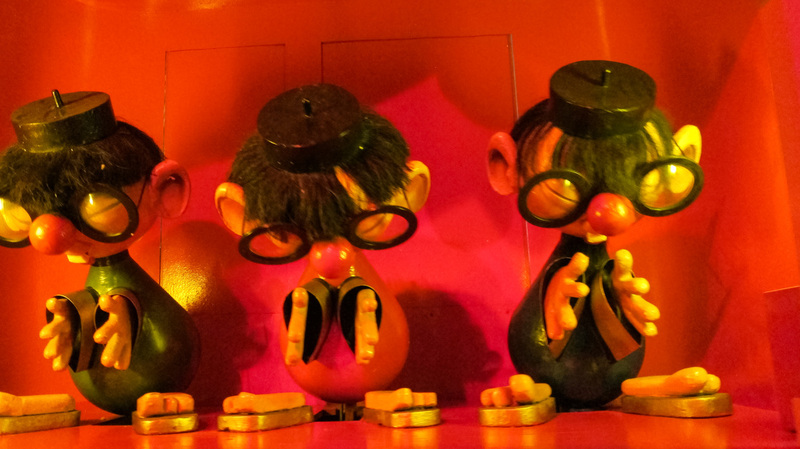 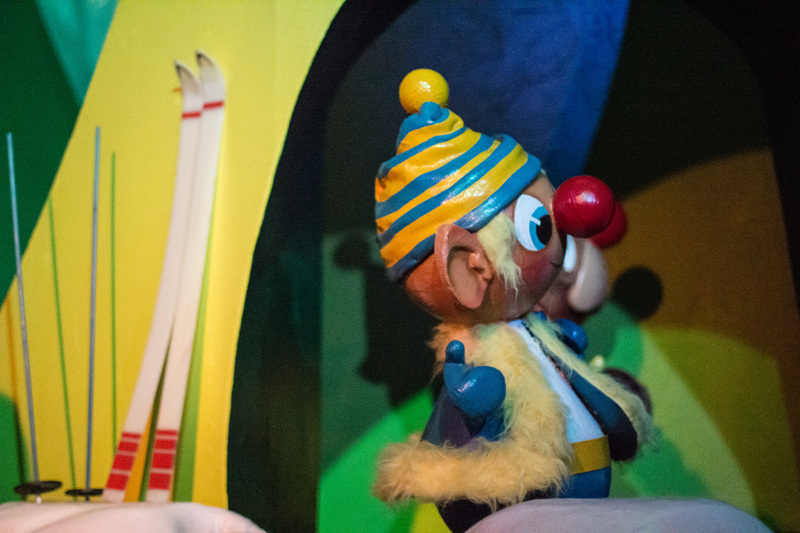 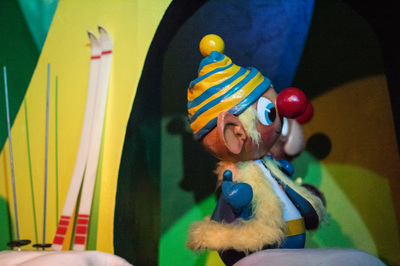 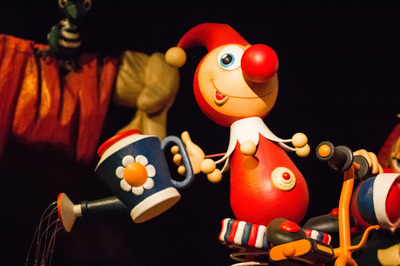 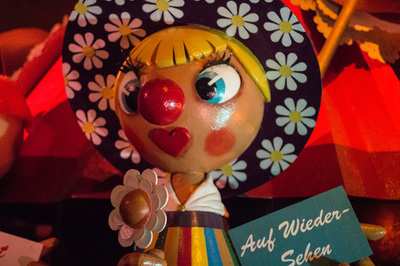 Buy various Jokie Souvenirs at the Efteling souvenir shop! 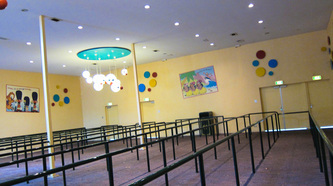 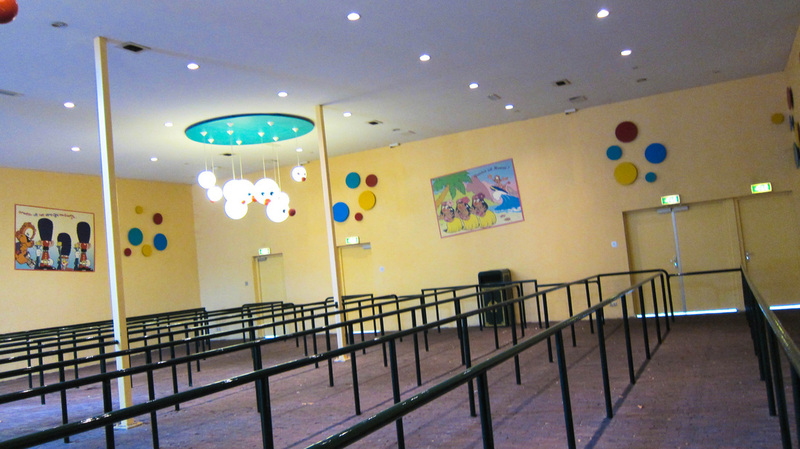 Access via the wheelchair entrance to the right of the attraction exit.